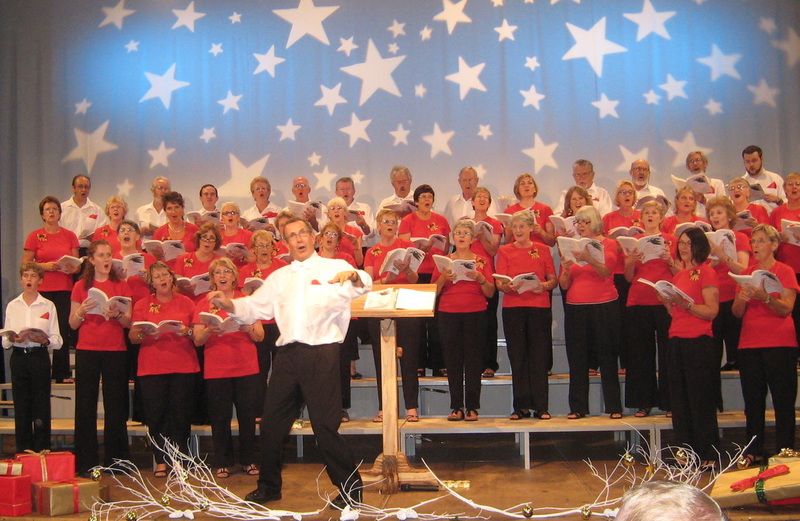 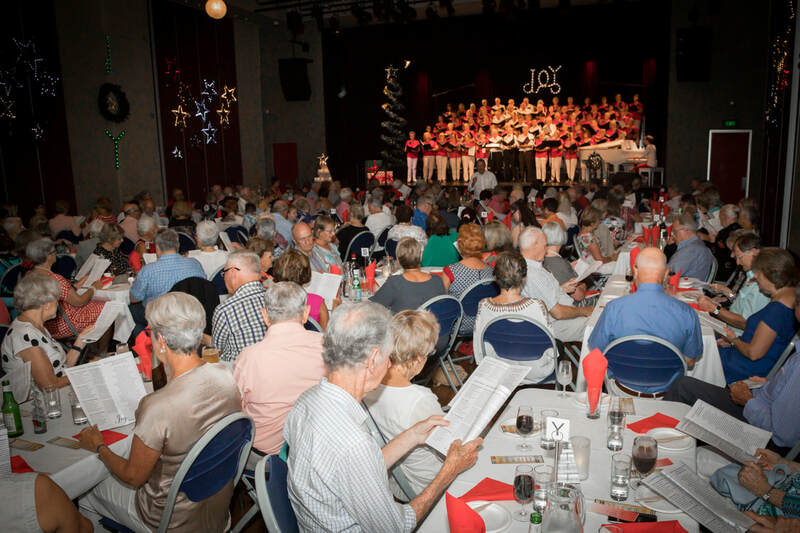 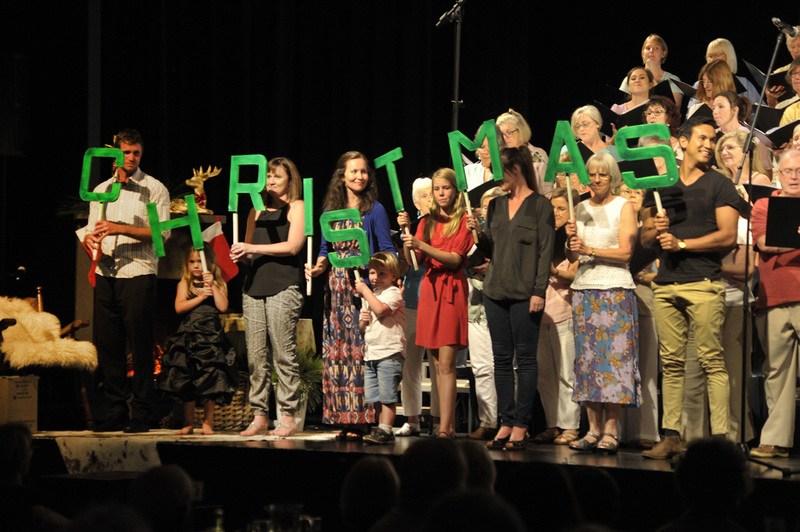 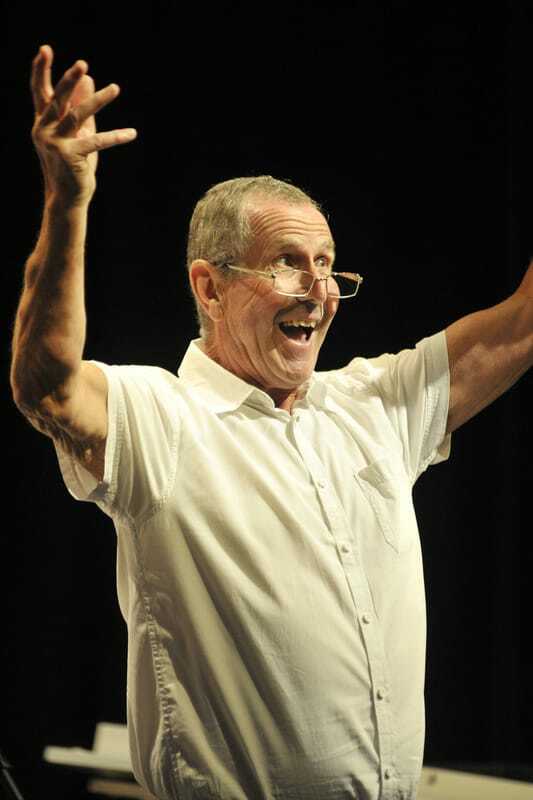 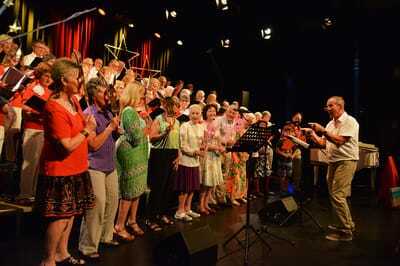 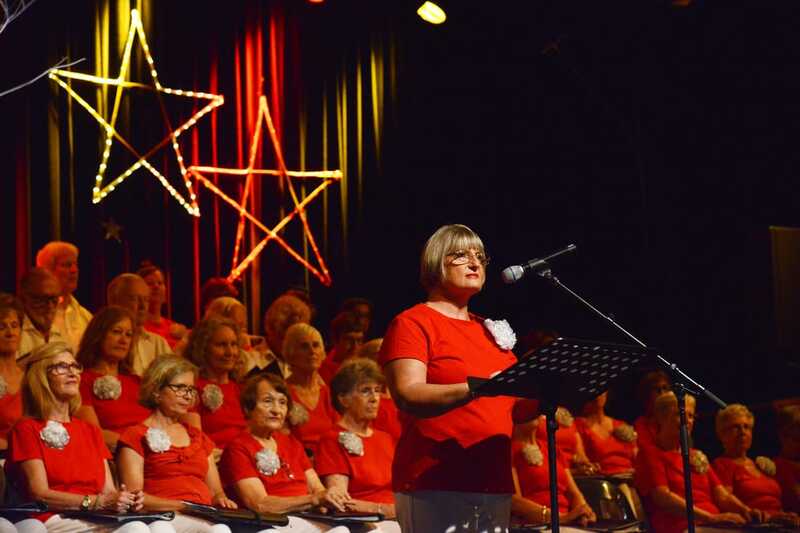 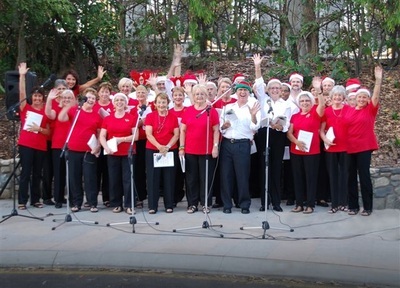 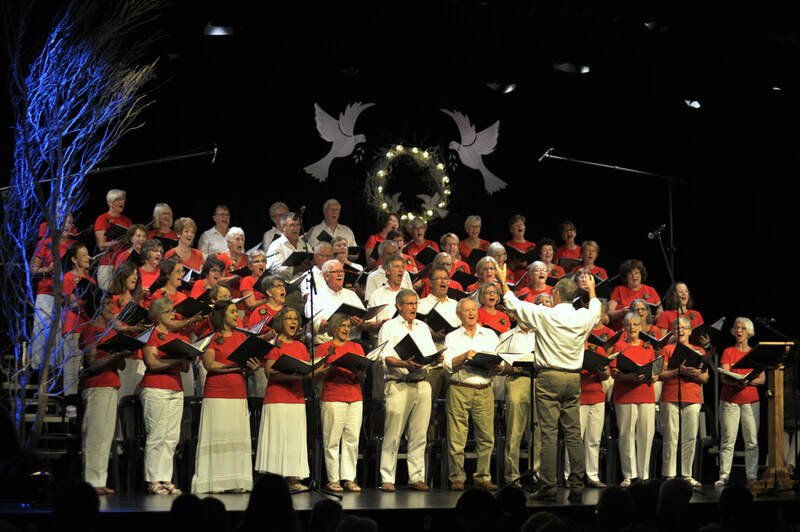 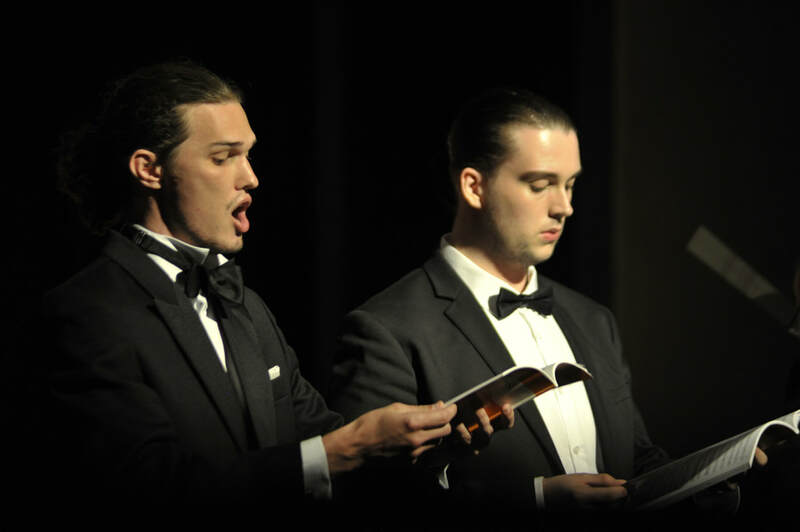 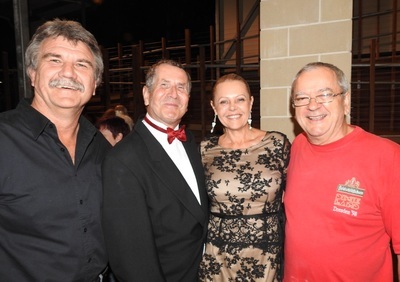 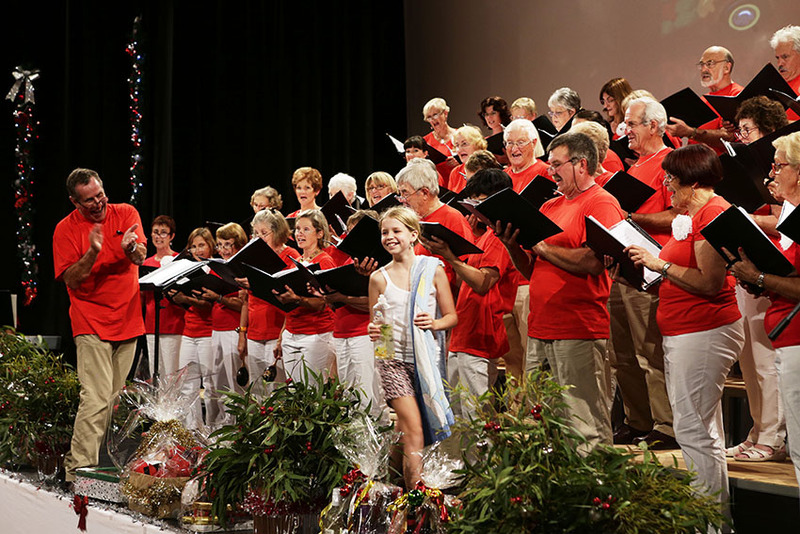 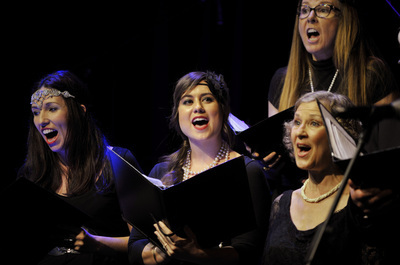 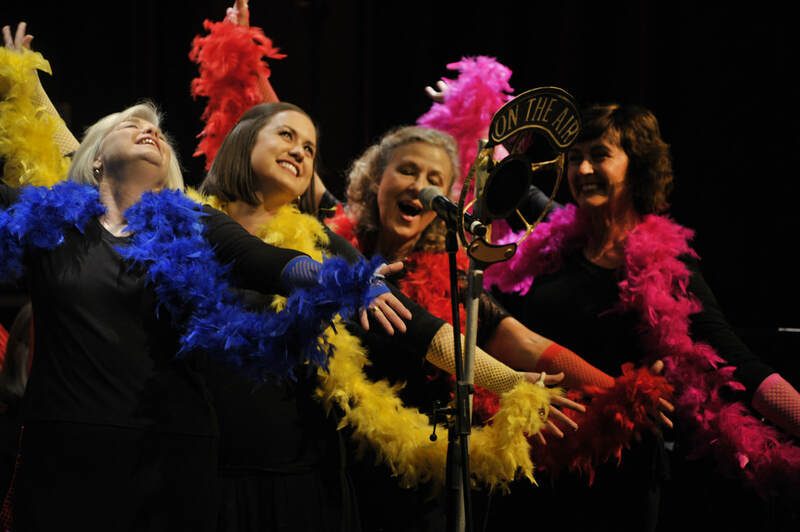 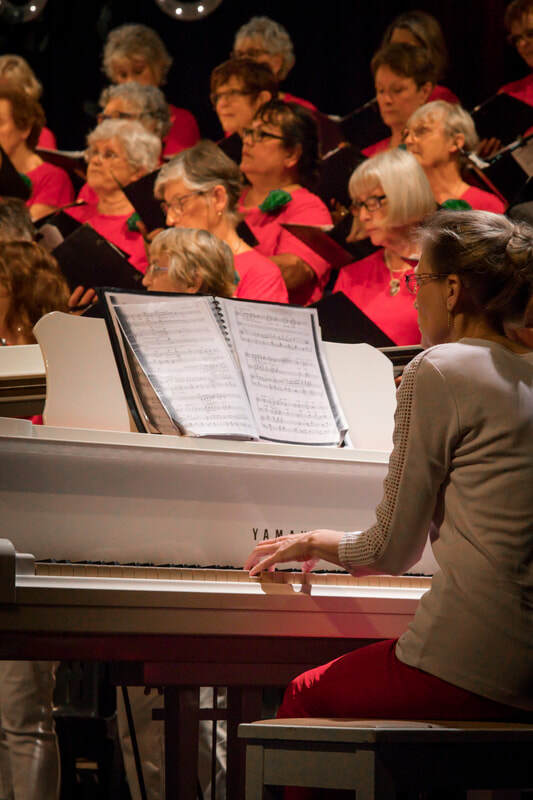 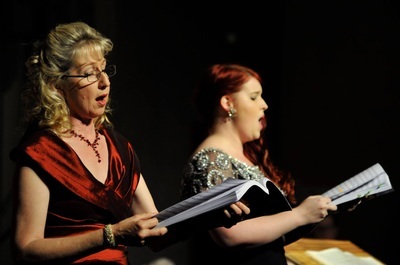 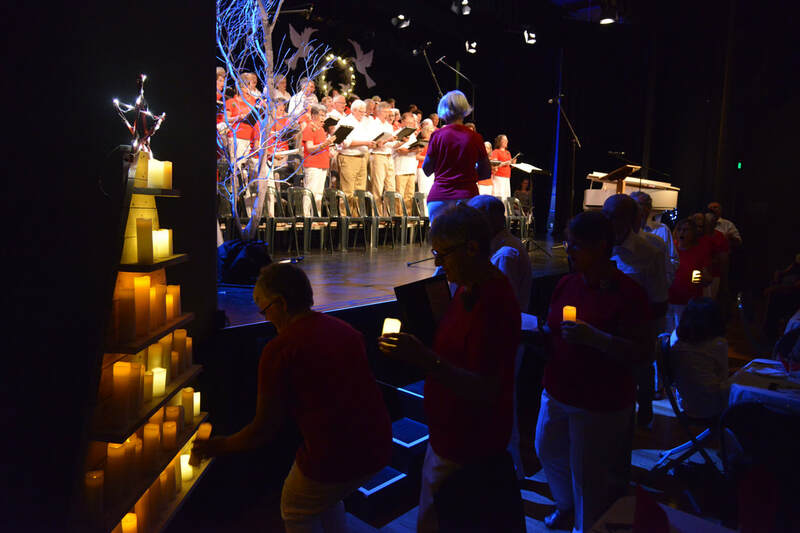 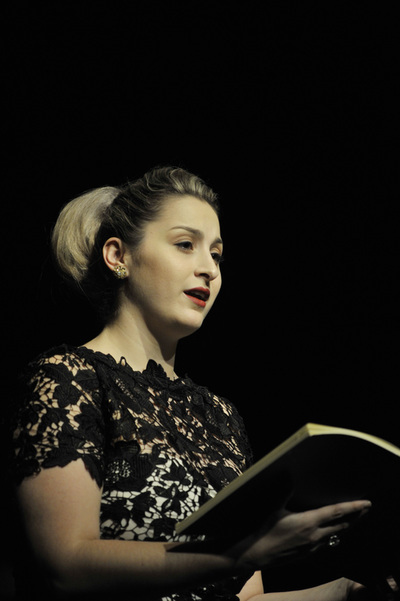 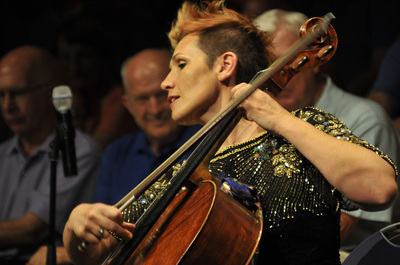 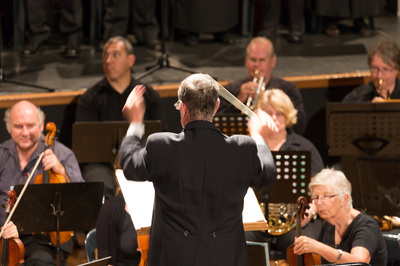 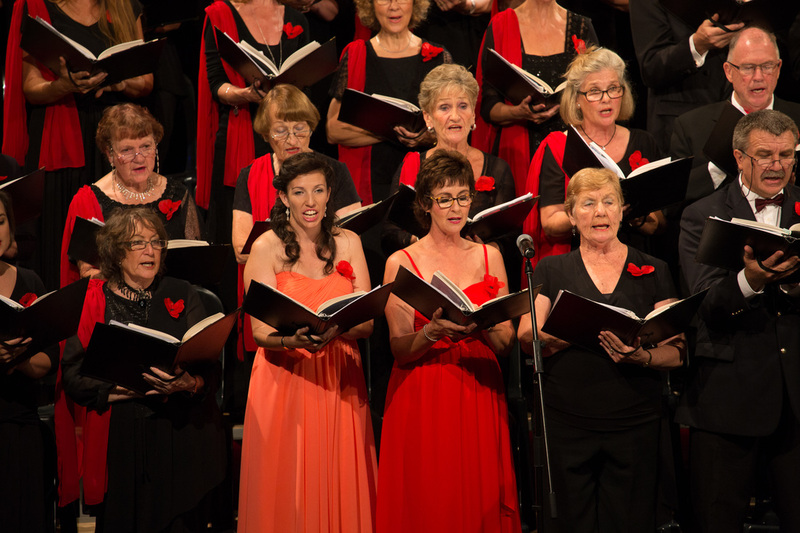 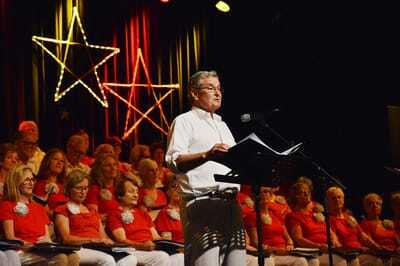 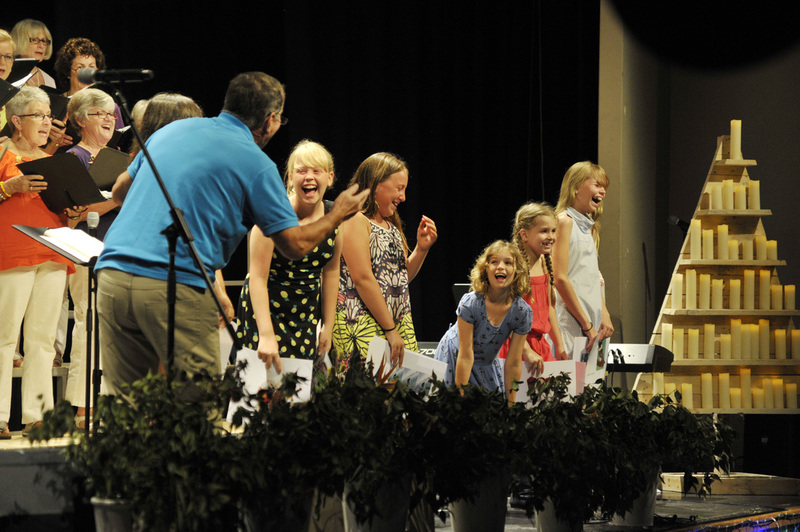 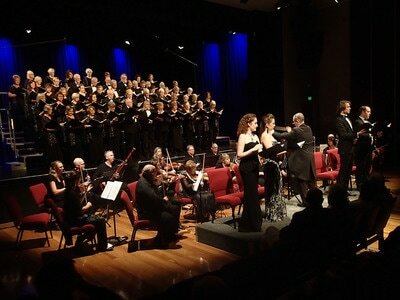 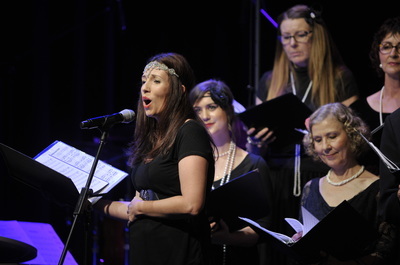 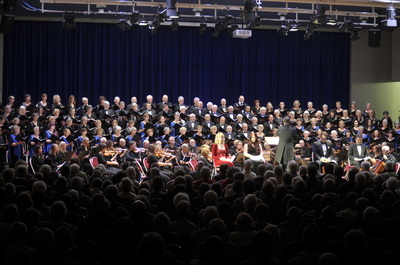 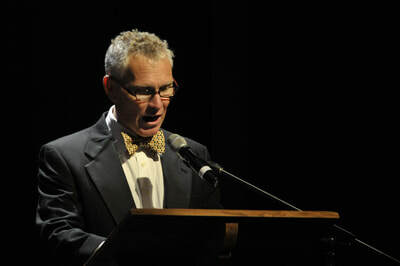 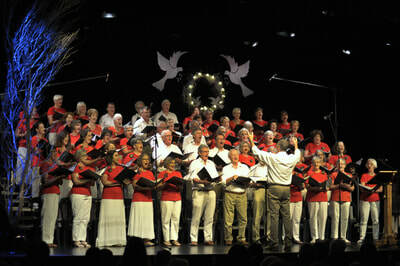 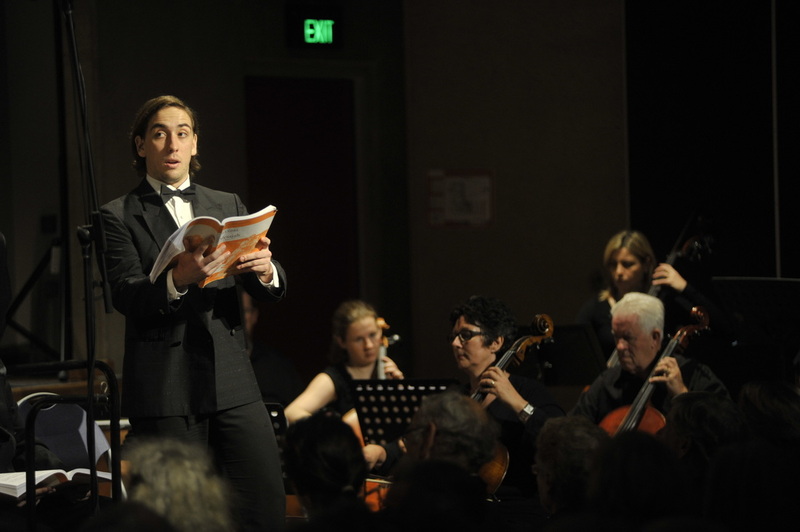 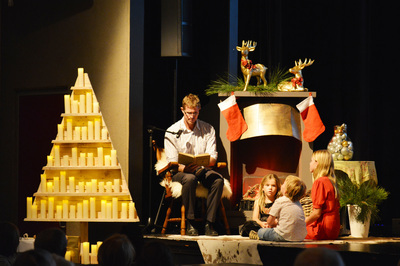 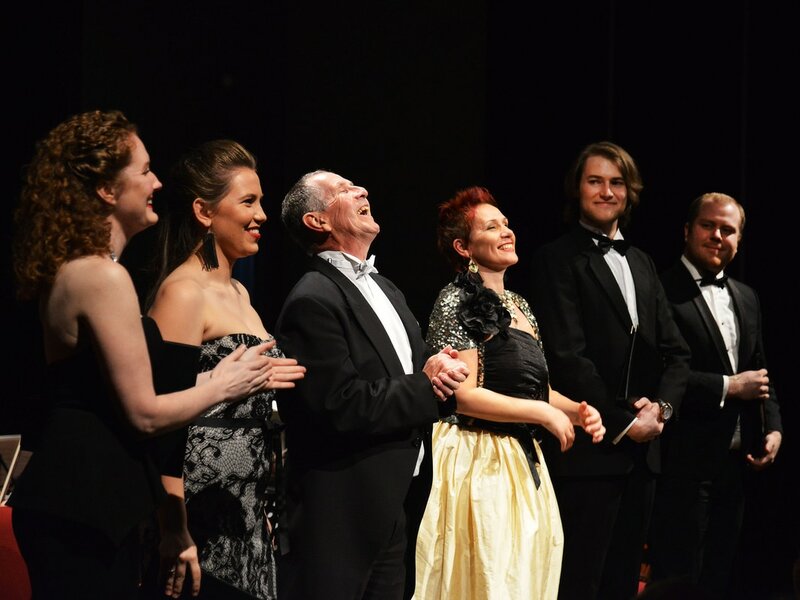 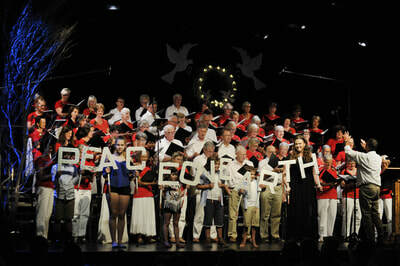 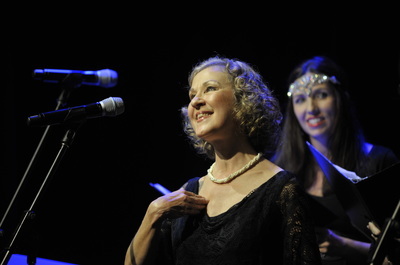 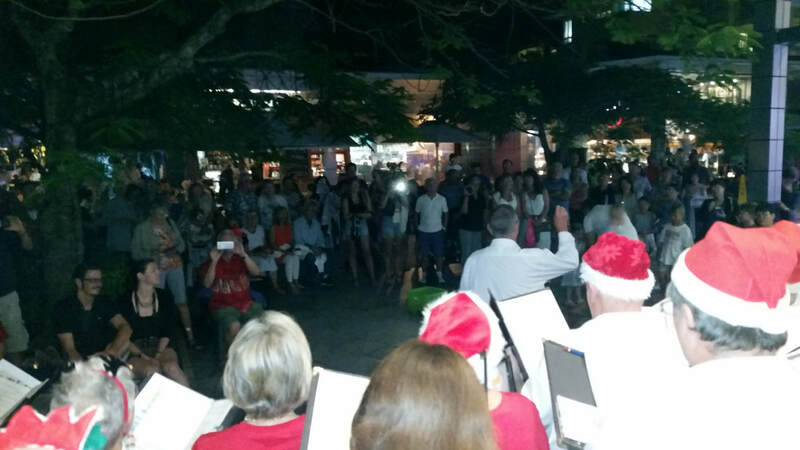 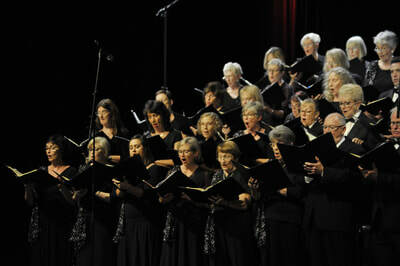 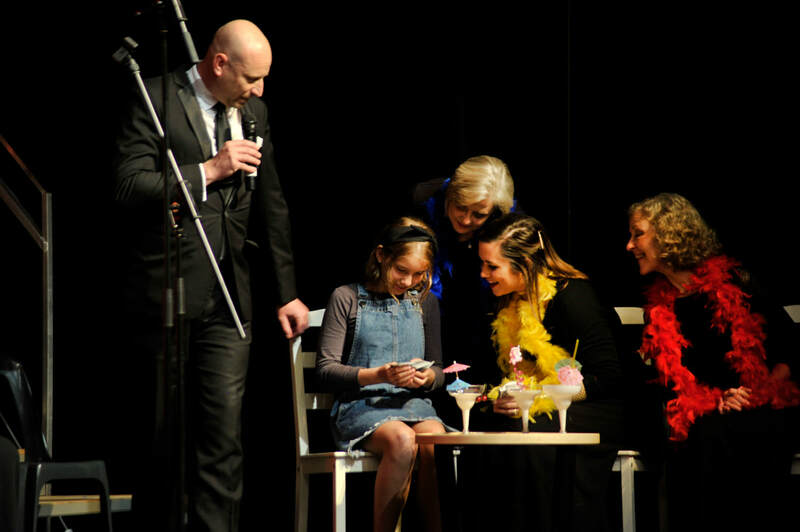 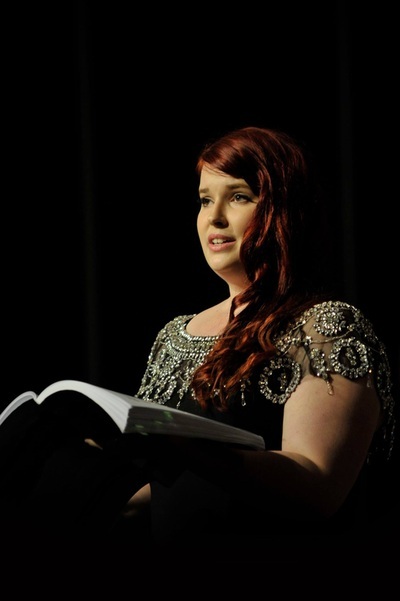 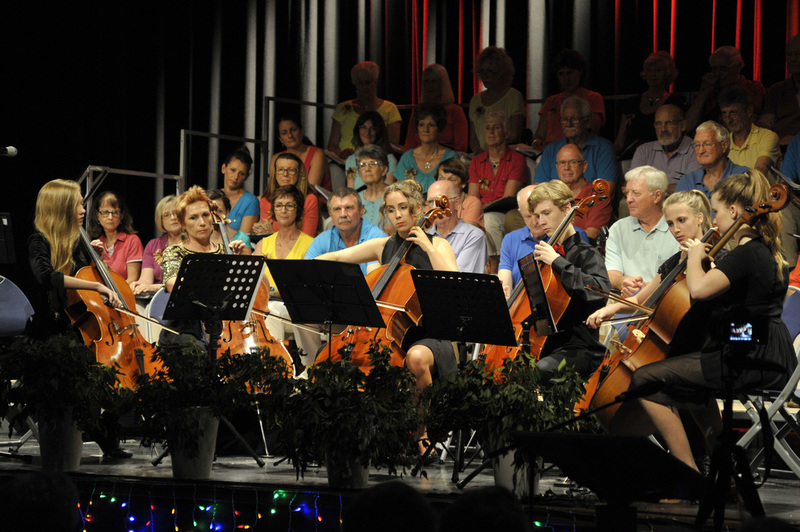 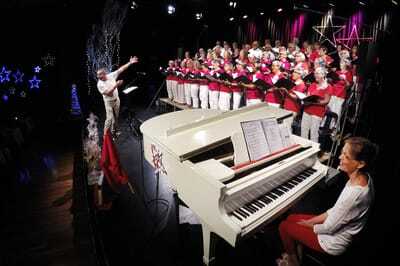 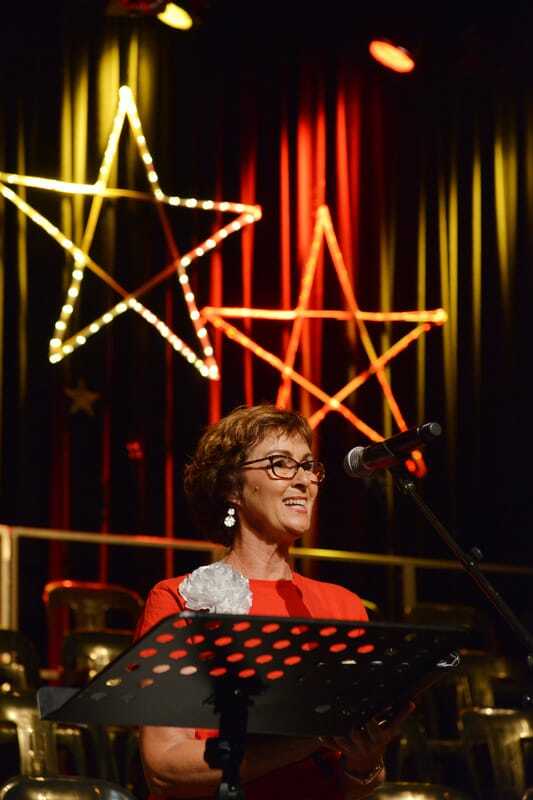 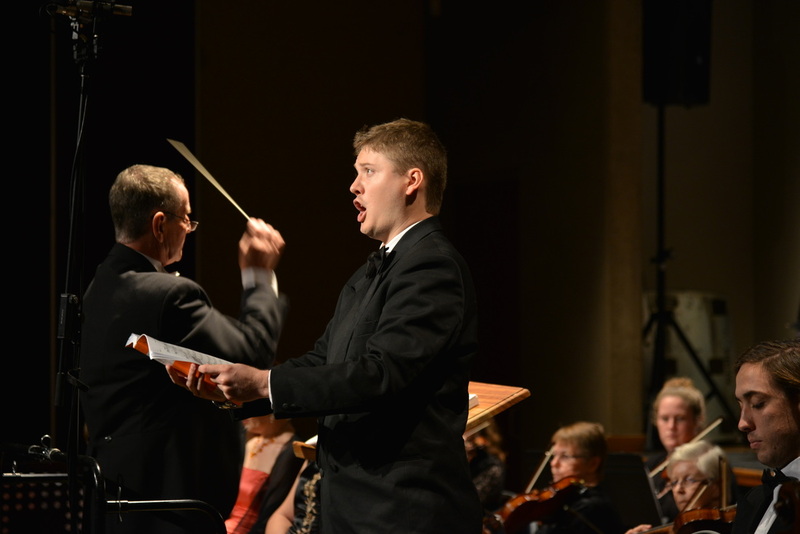 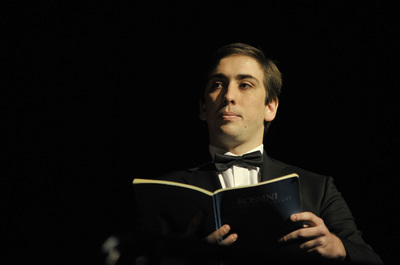 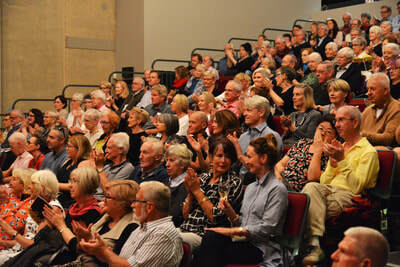 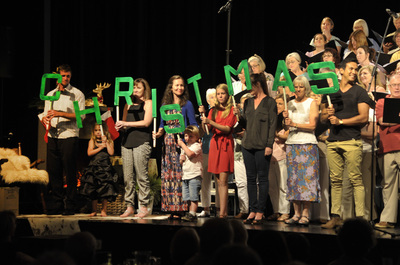 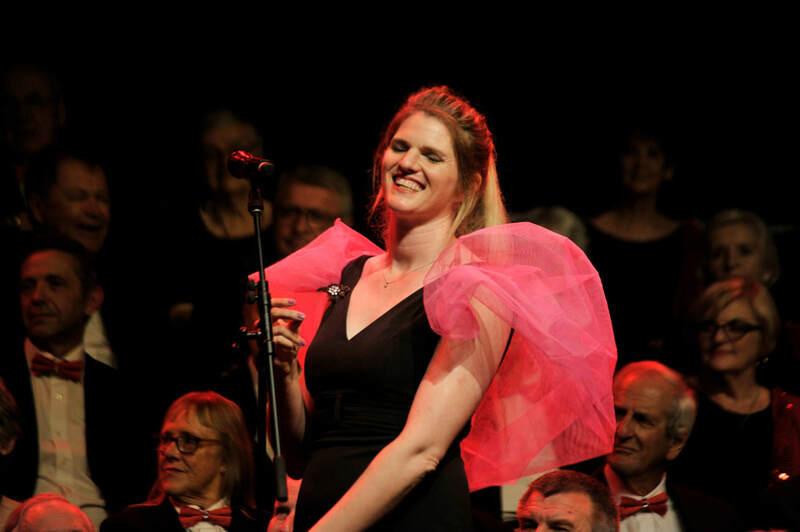 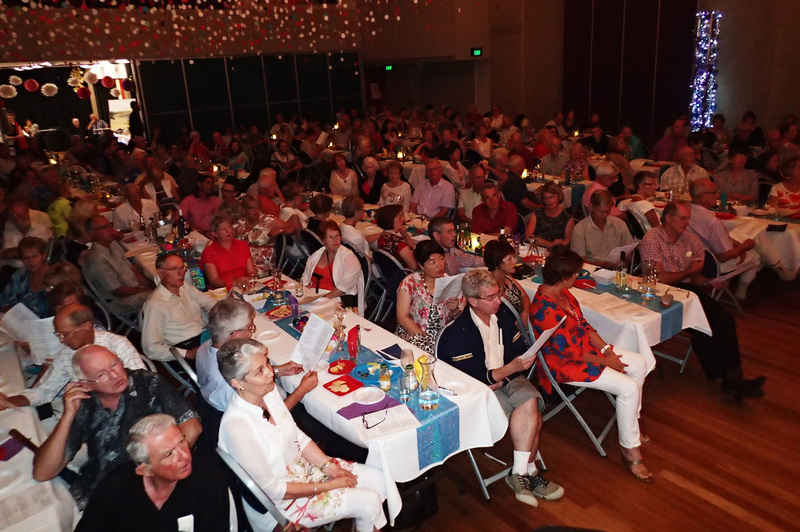 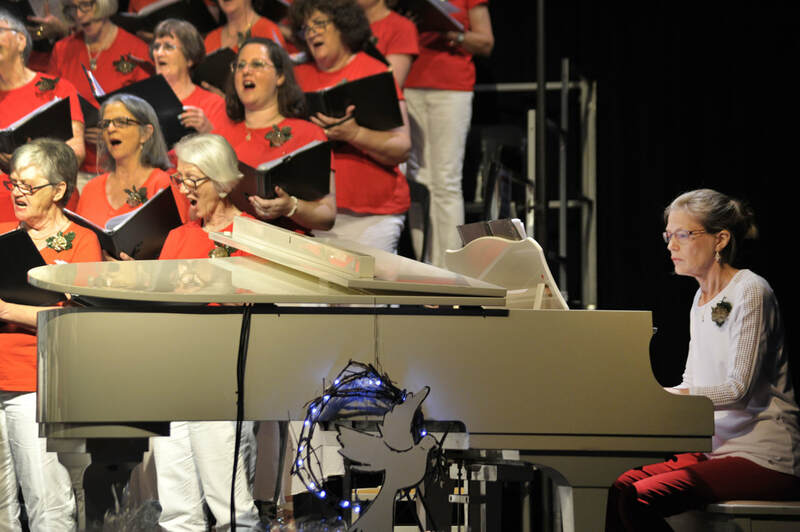 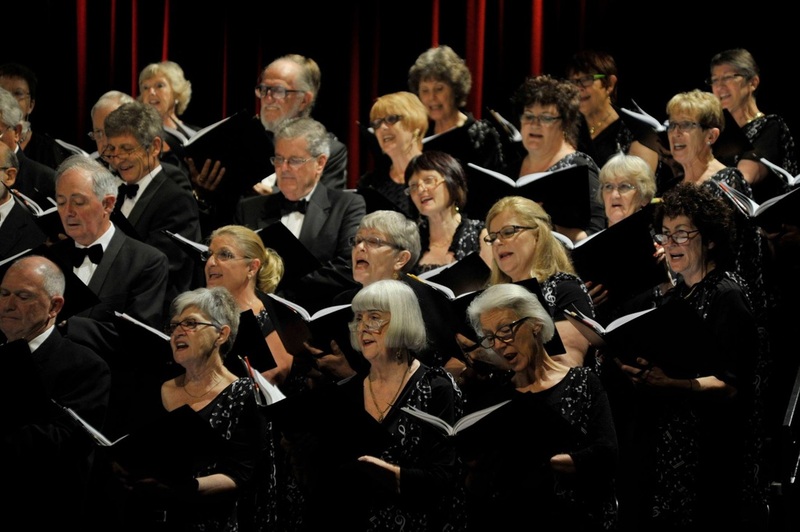 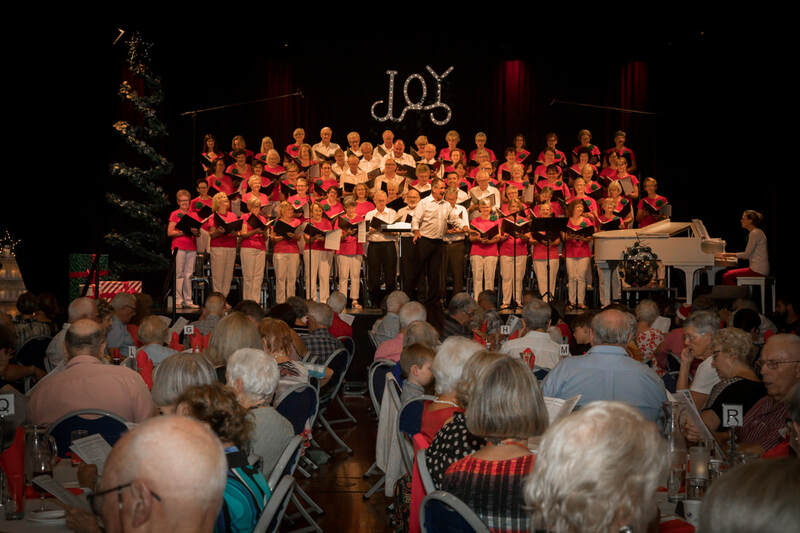 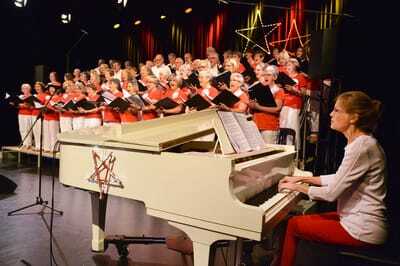 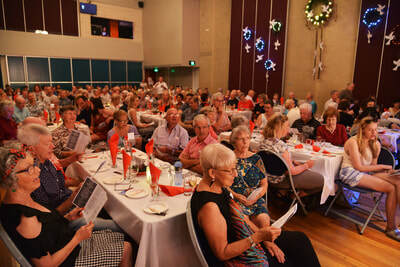 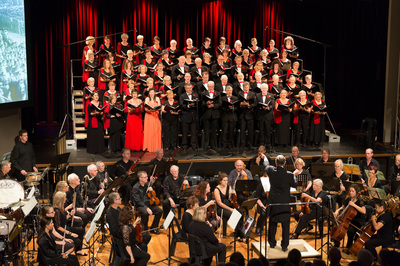 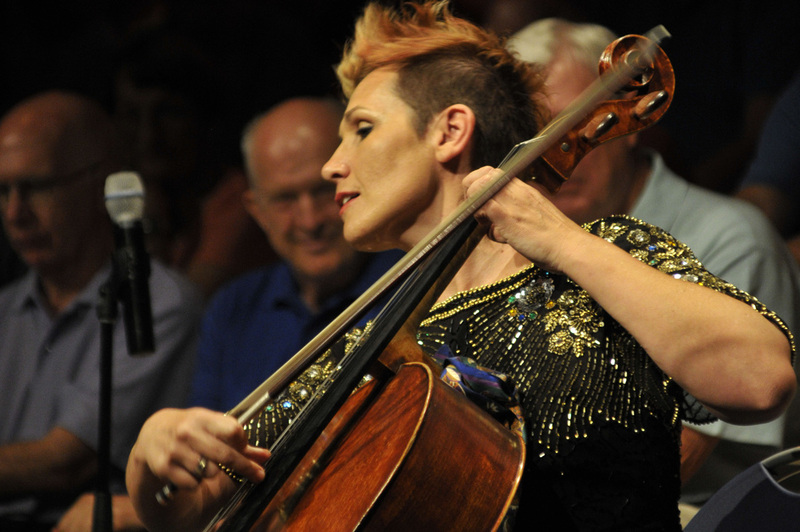 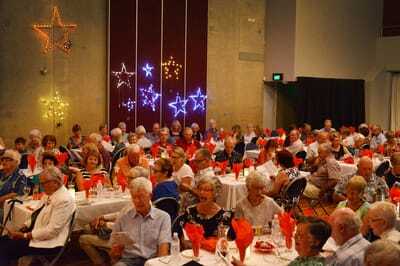 Noosa's favourite Christmas concert was on the theme of Joy. 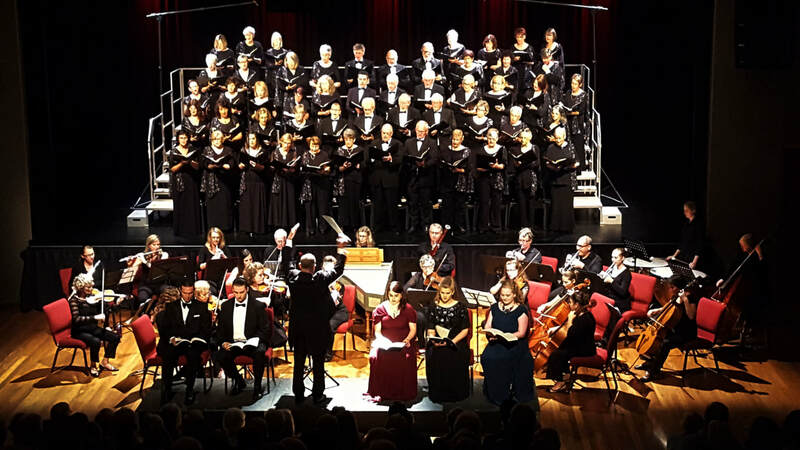 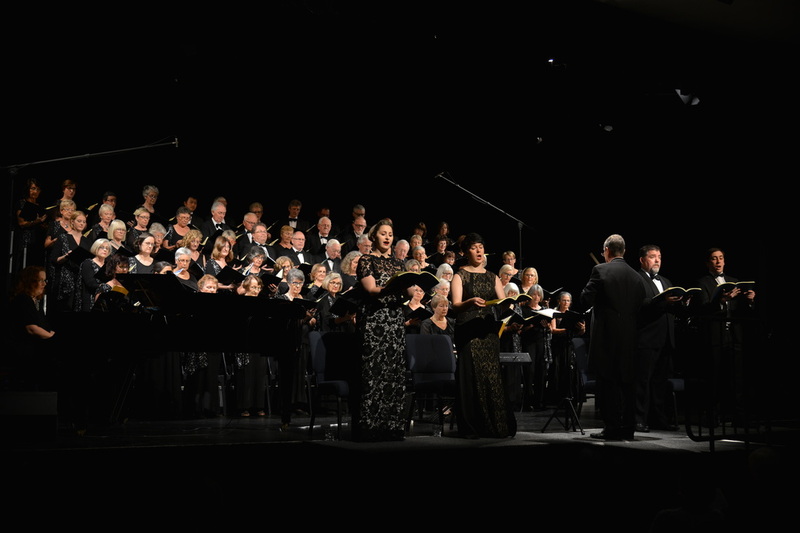 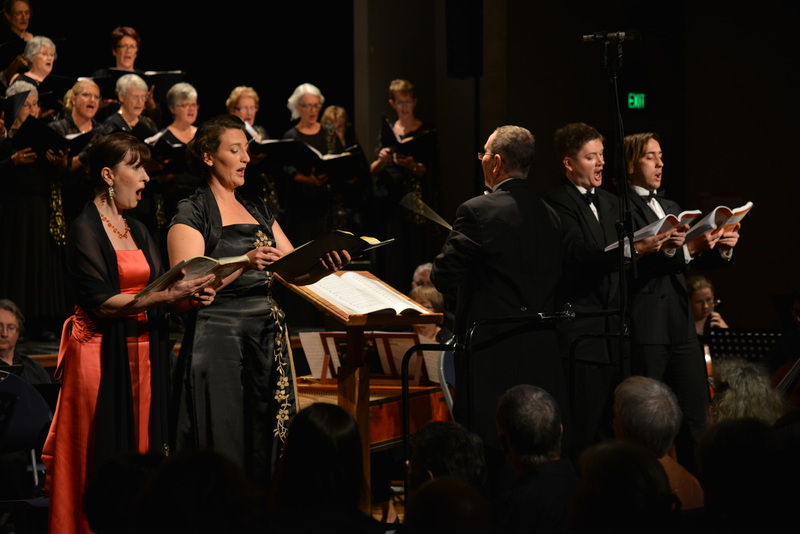 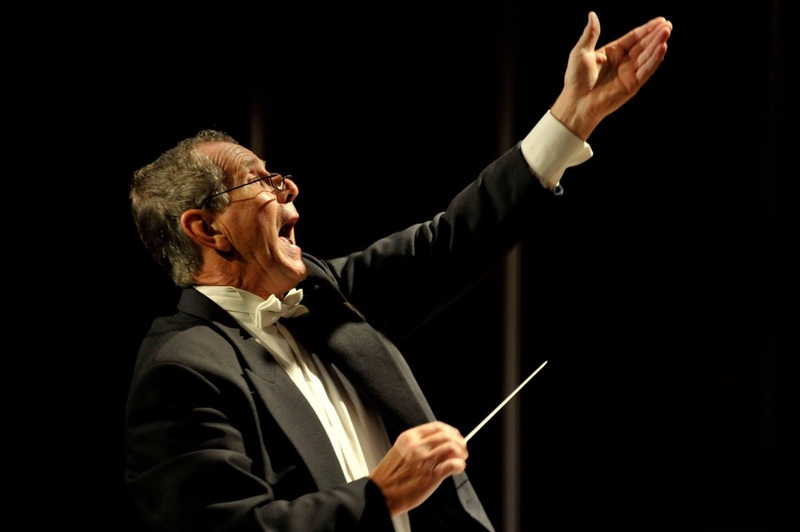 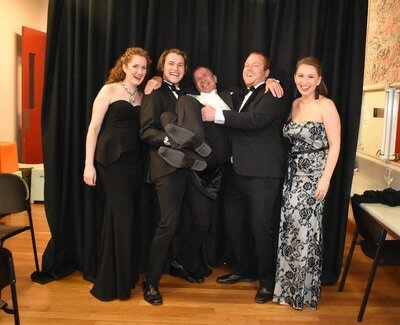 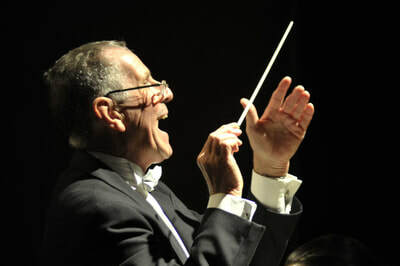 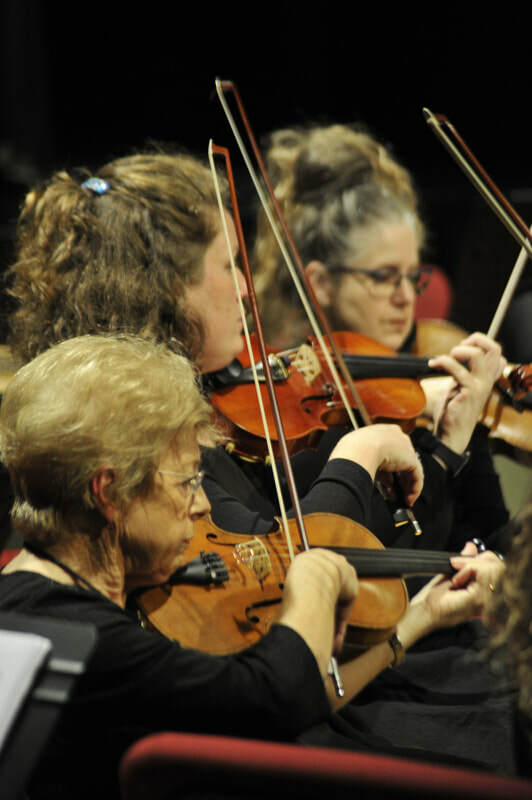 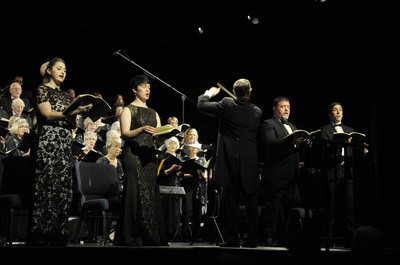 Adrian King conducting, Janet Brewer piano accompaniment, with a duet by Chorale singers Fran Wilson (soprano) and Debra Schneider (mezzo soprano), and readings by Kerrie Cook and Jeremy Martin. Audiences on both evenings joined in singing the well-known carols plus a very joyful rendition of "Joy to the World" (Jeremiah was a Bullfrog). 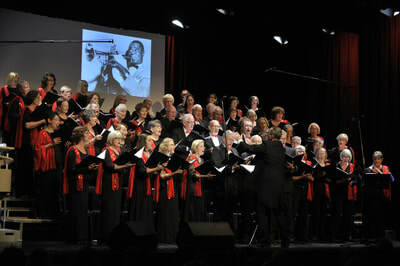 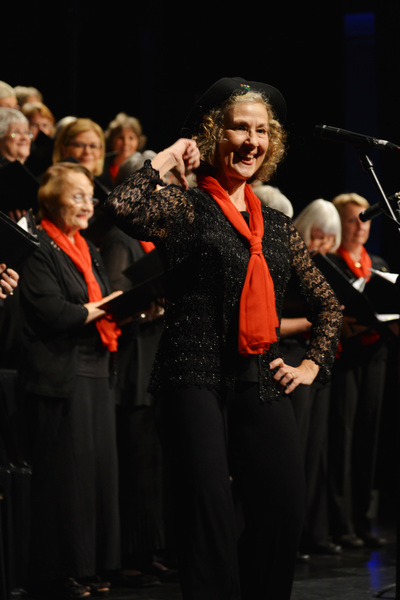 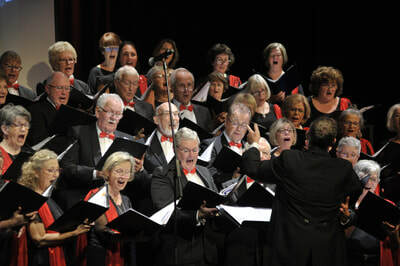 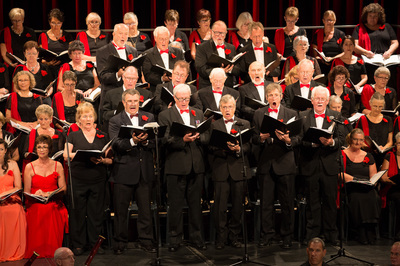 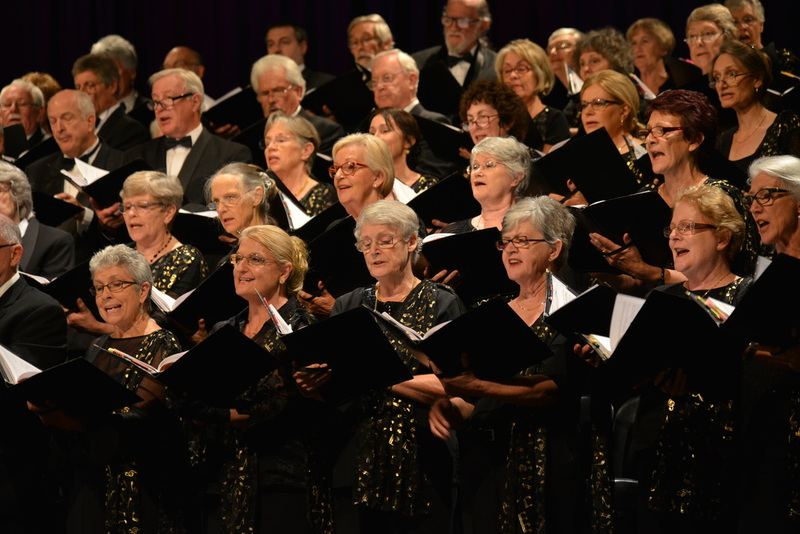 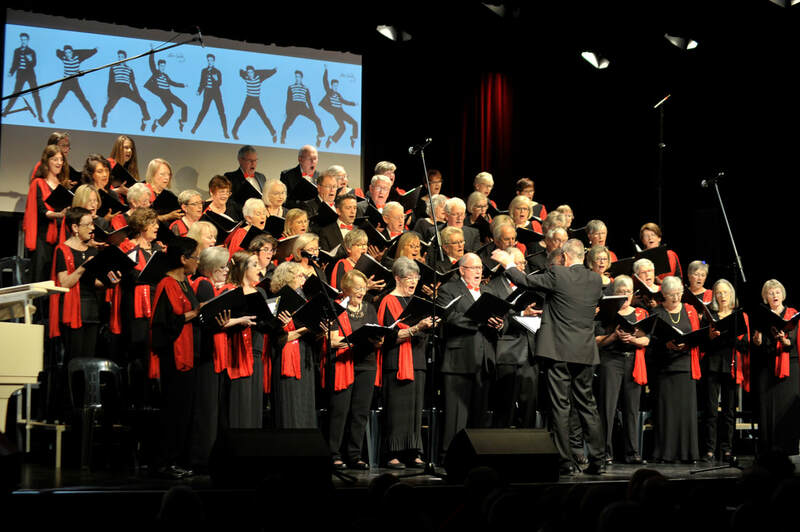 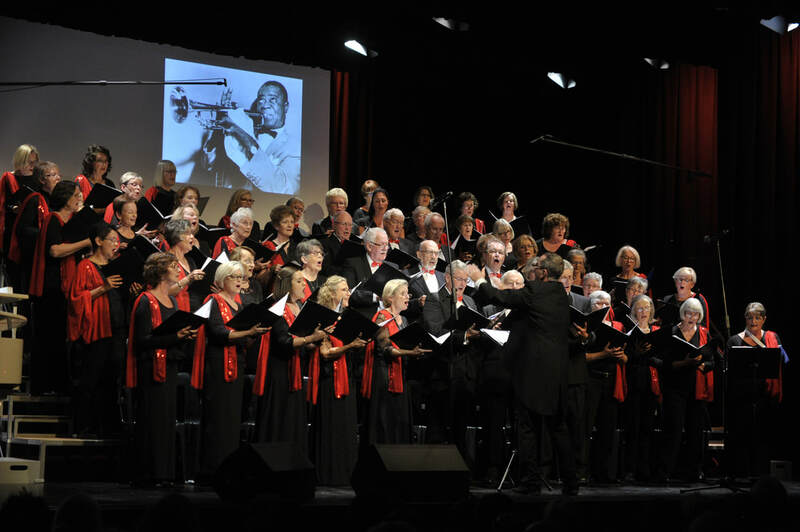 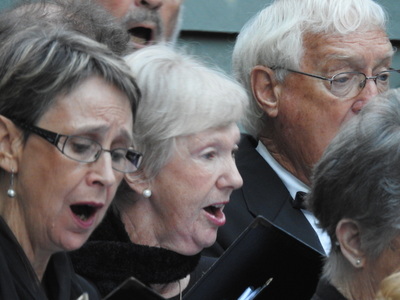 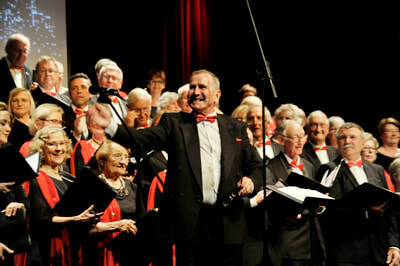 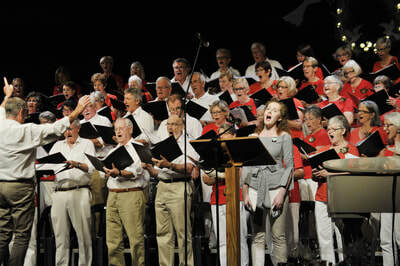 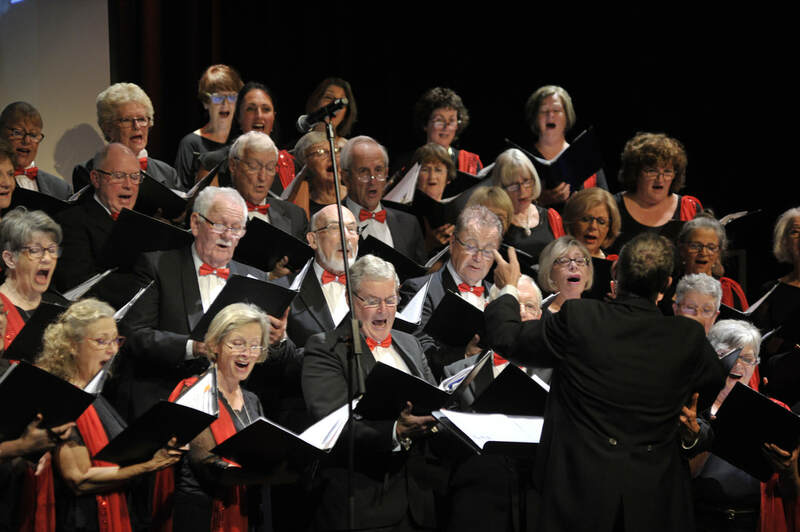 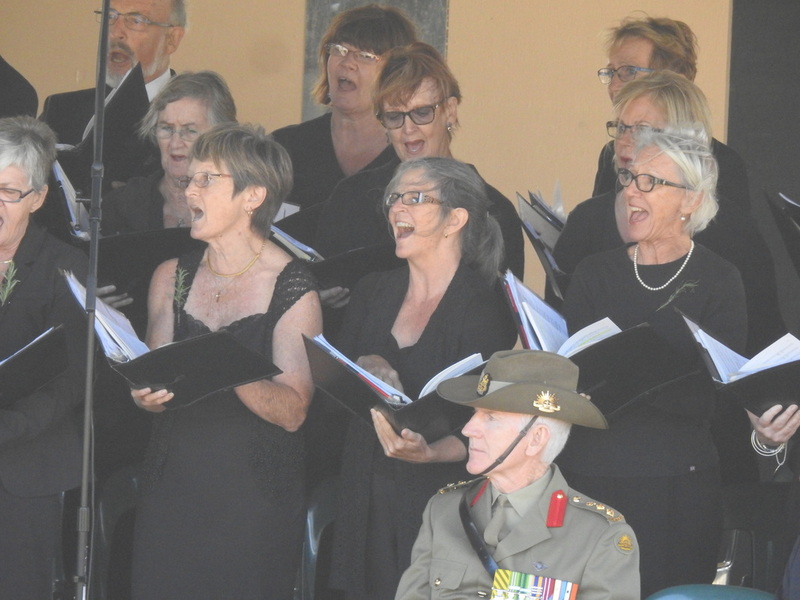 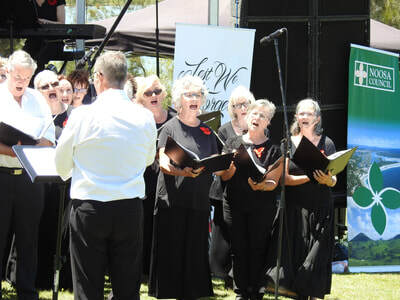 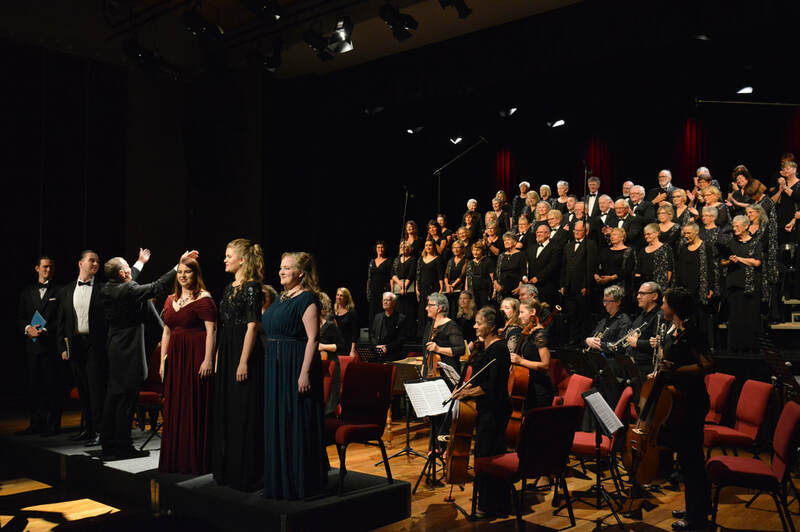 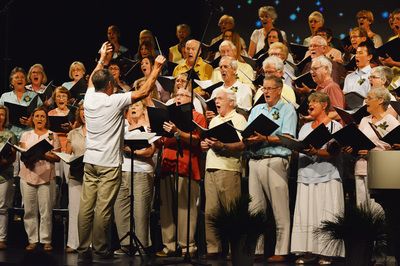 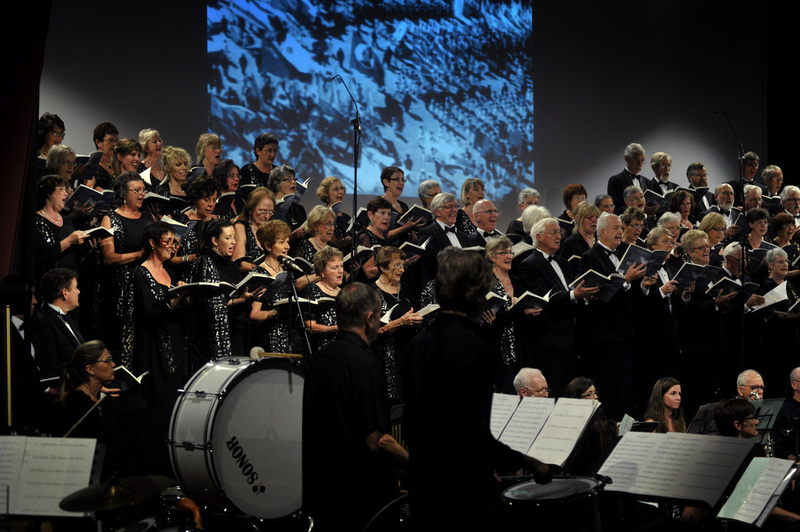 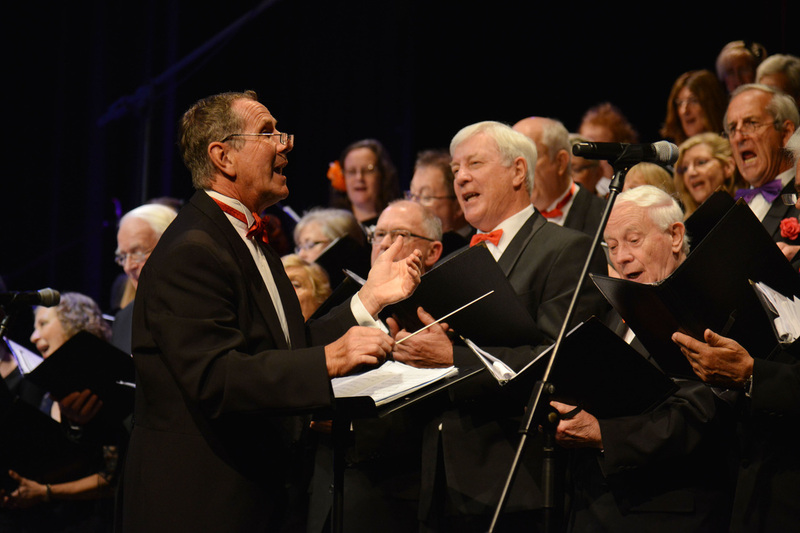 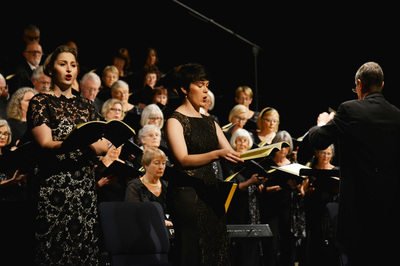 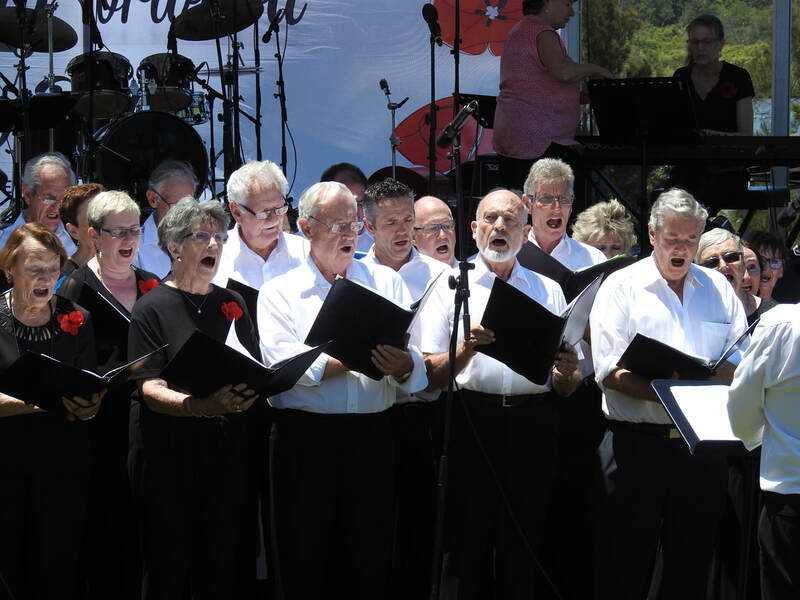 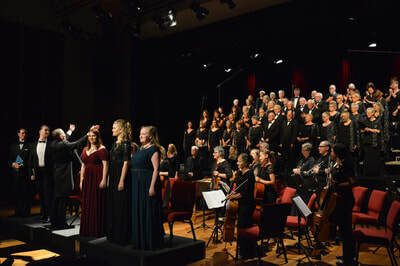 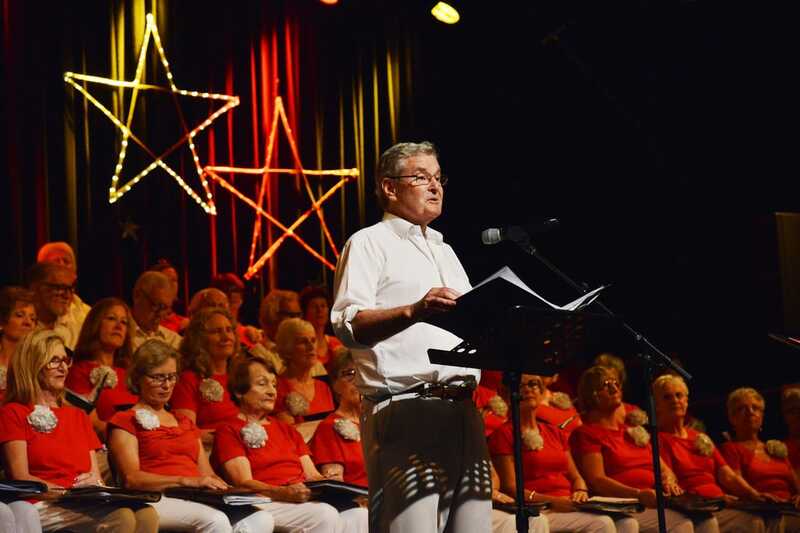 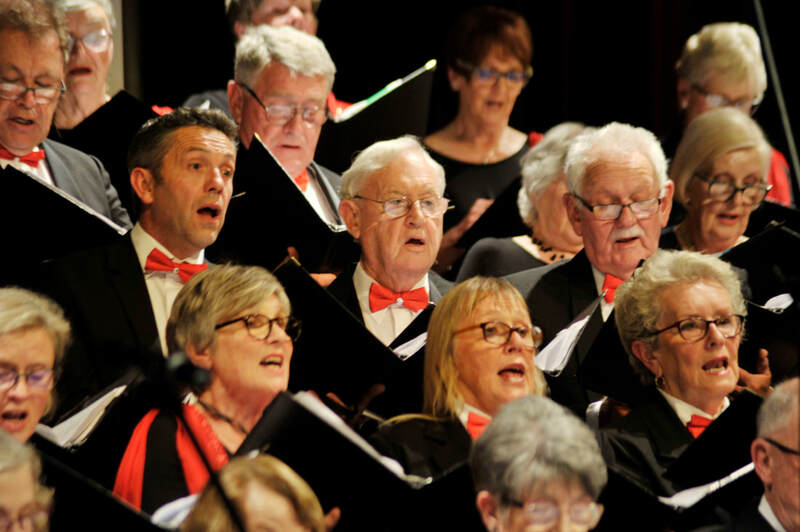 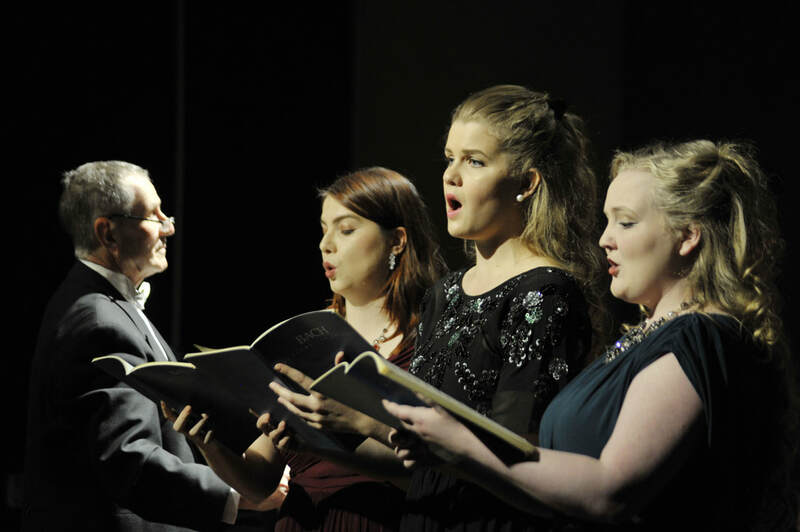 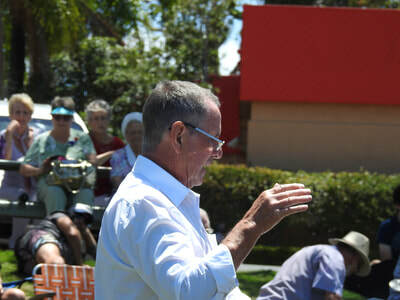 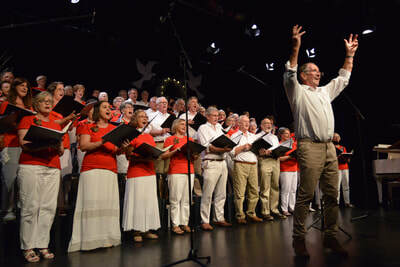 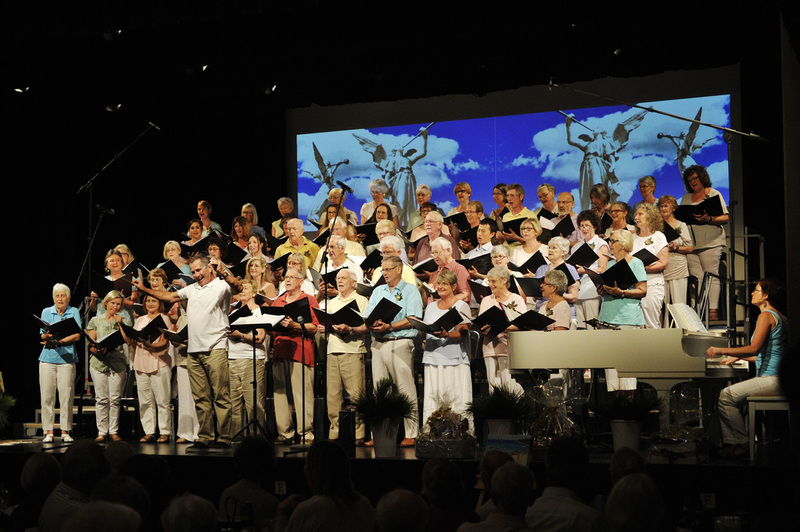 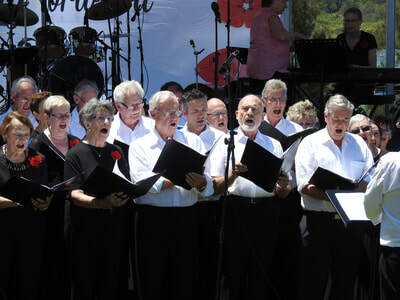 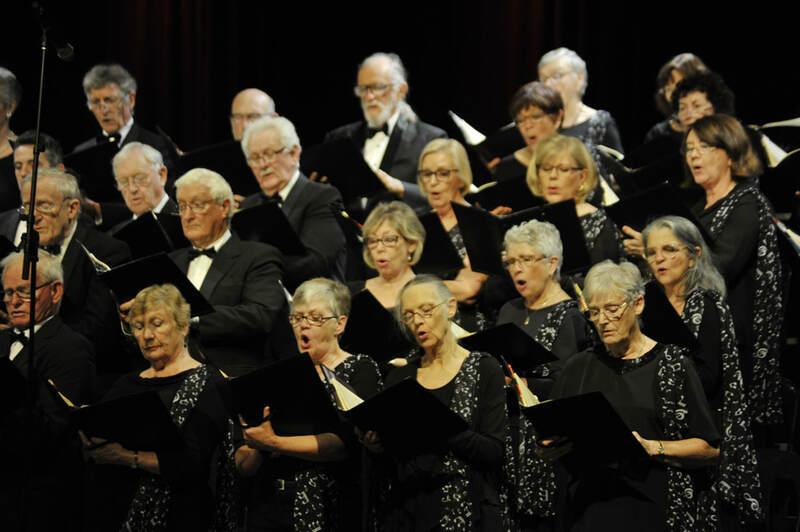 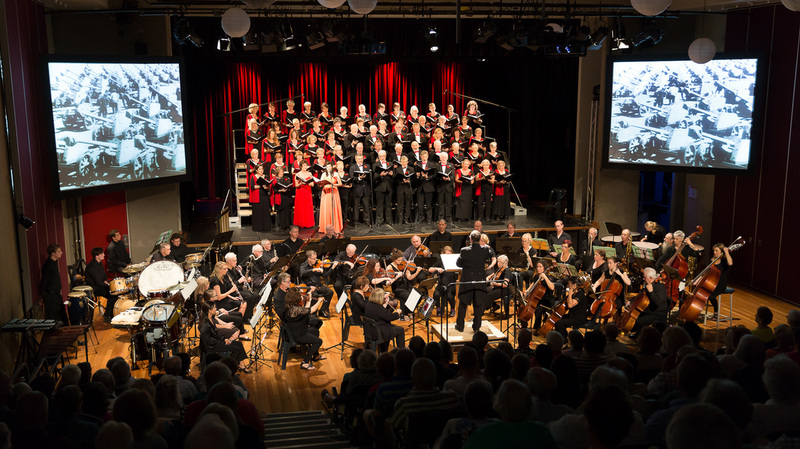 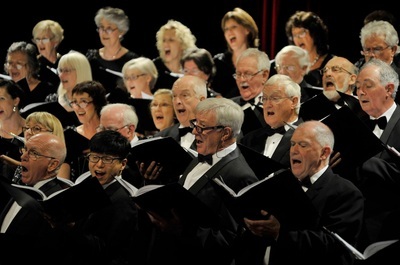 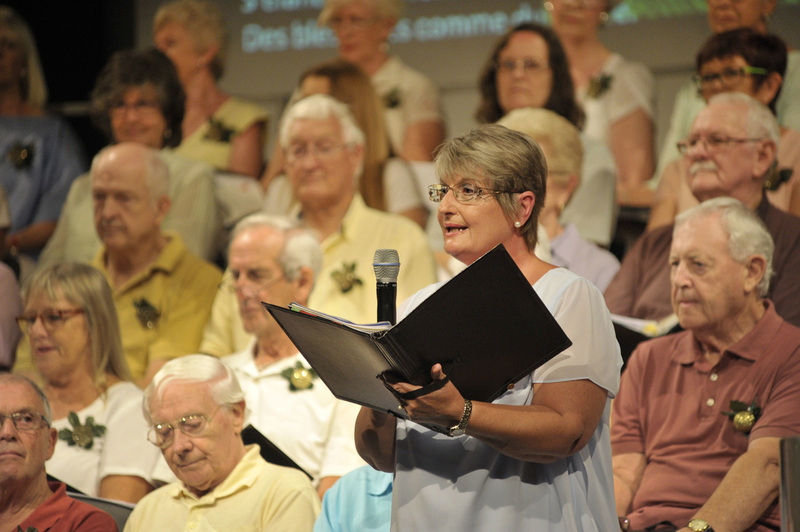 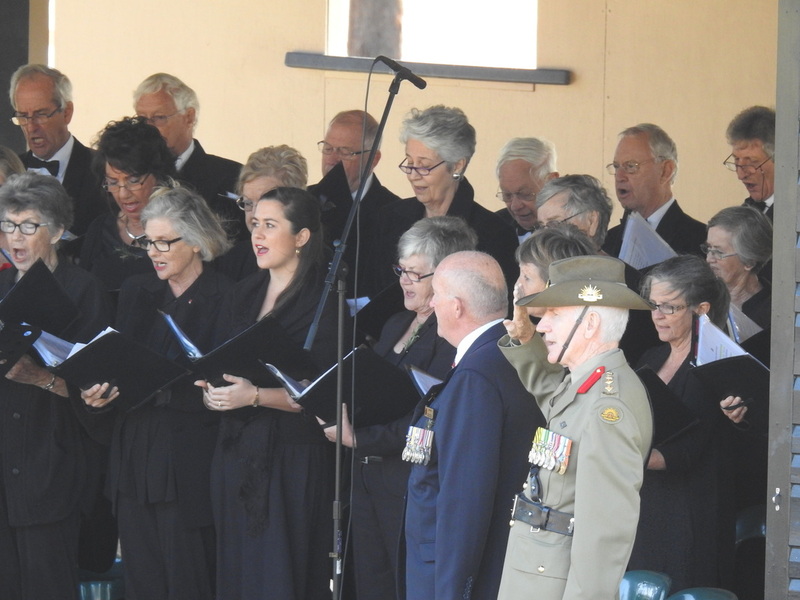 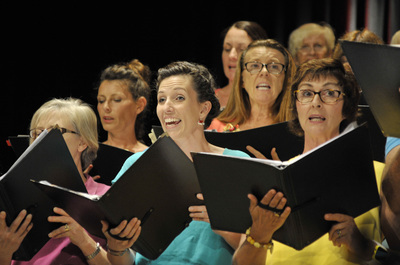 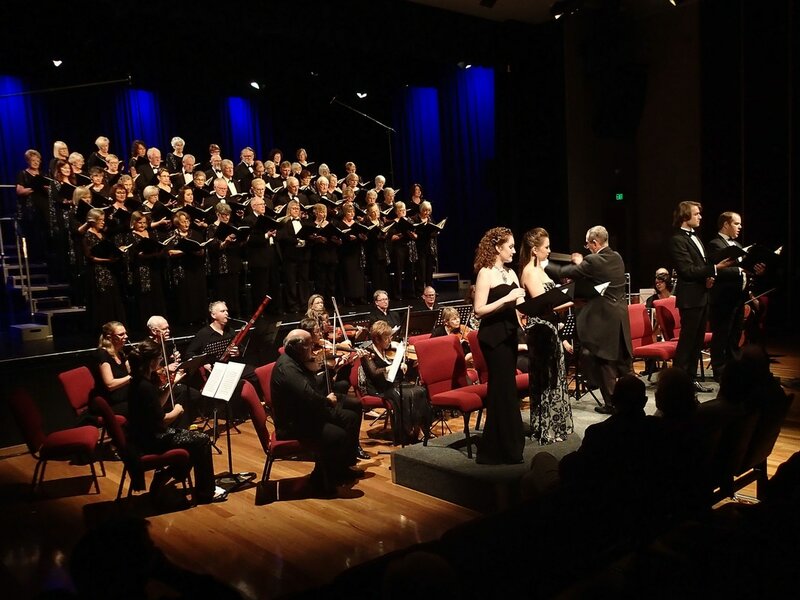 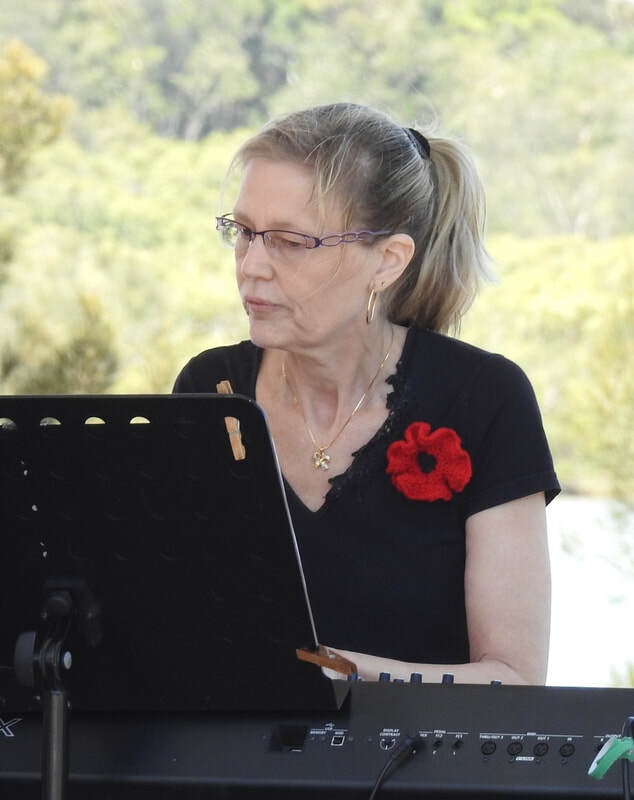 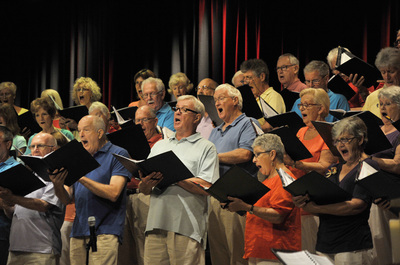 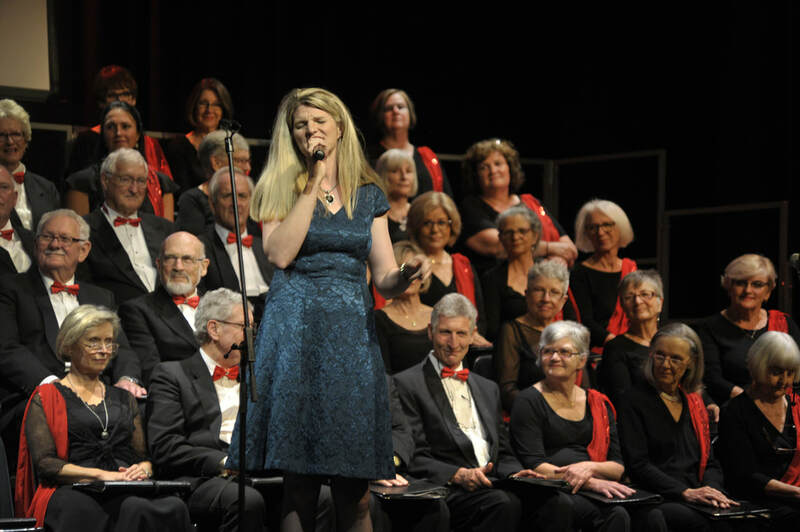 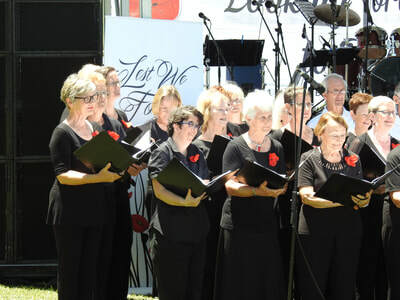 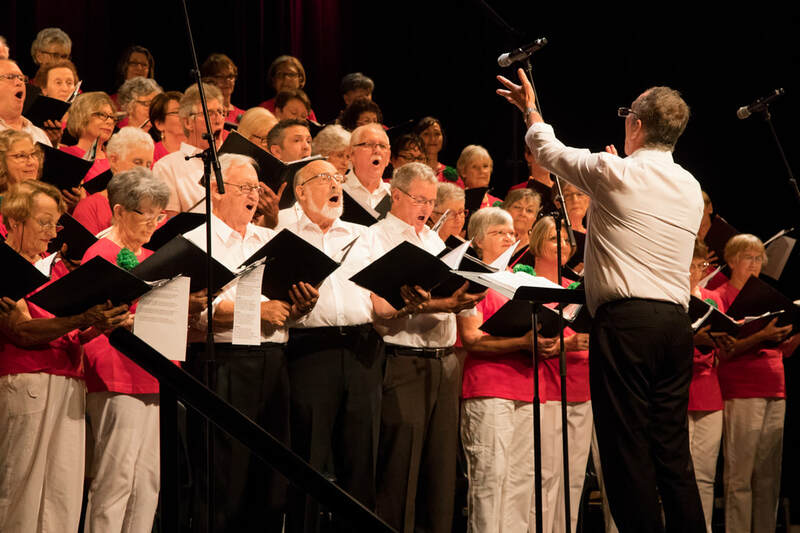 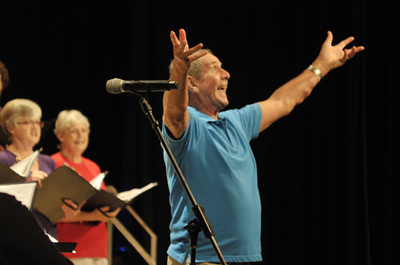 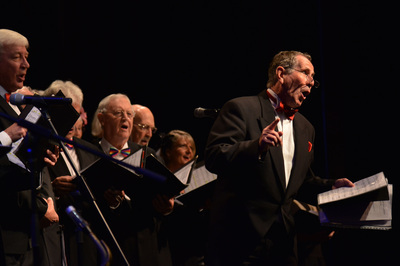 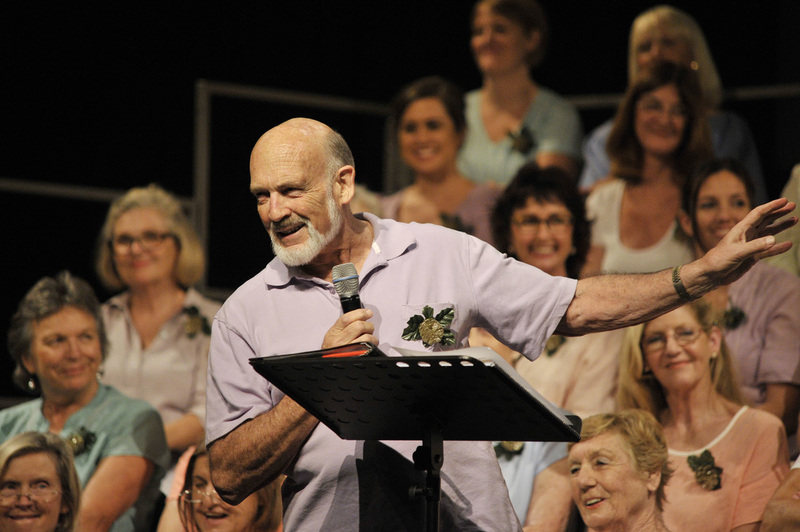 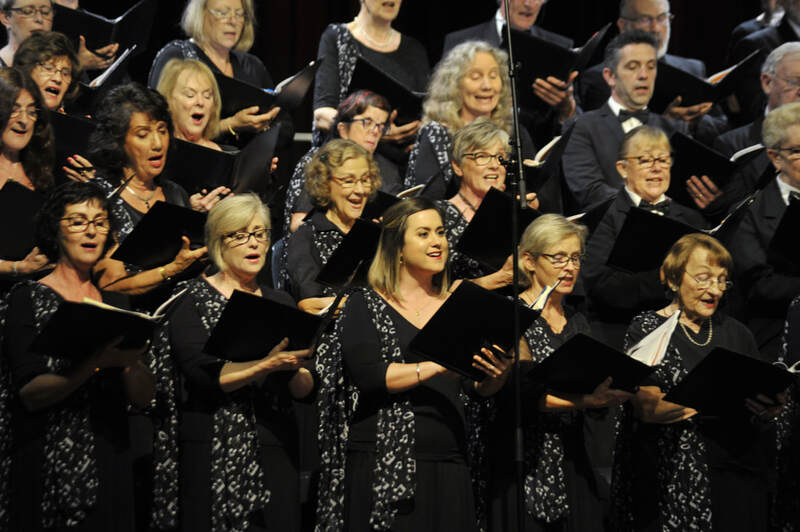 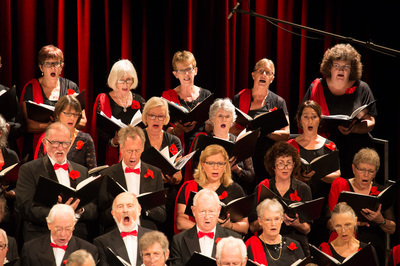 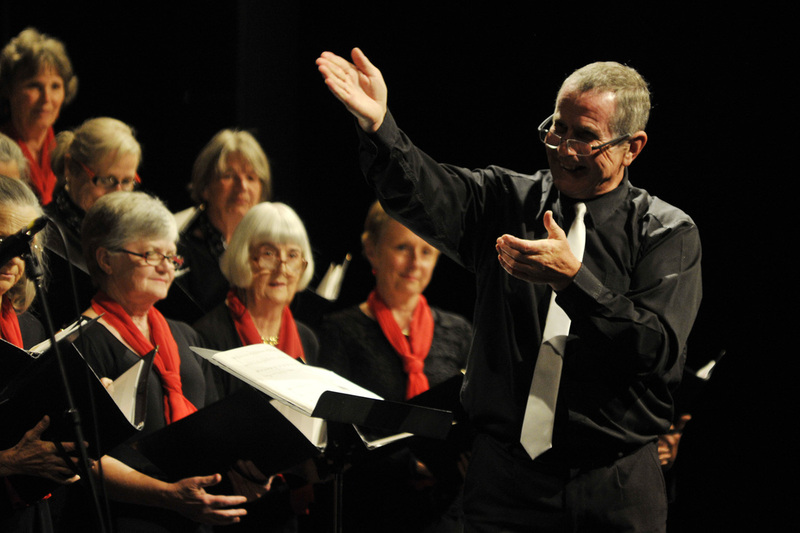 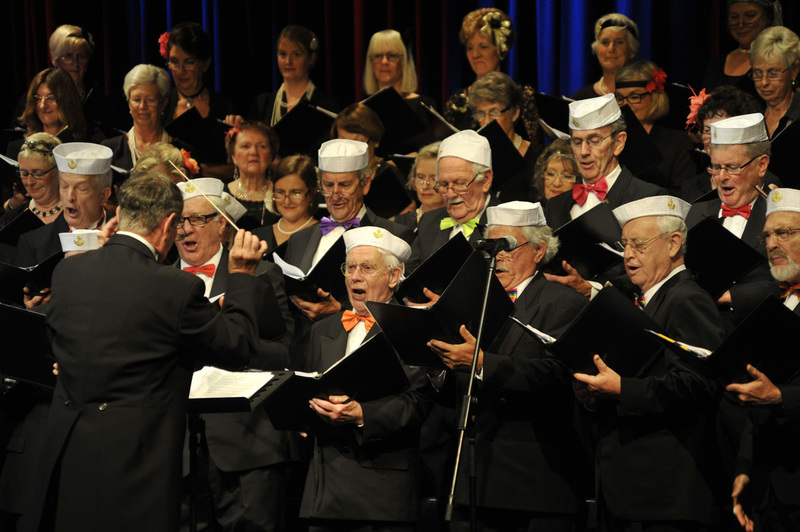 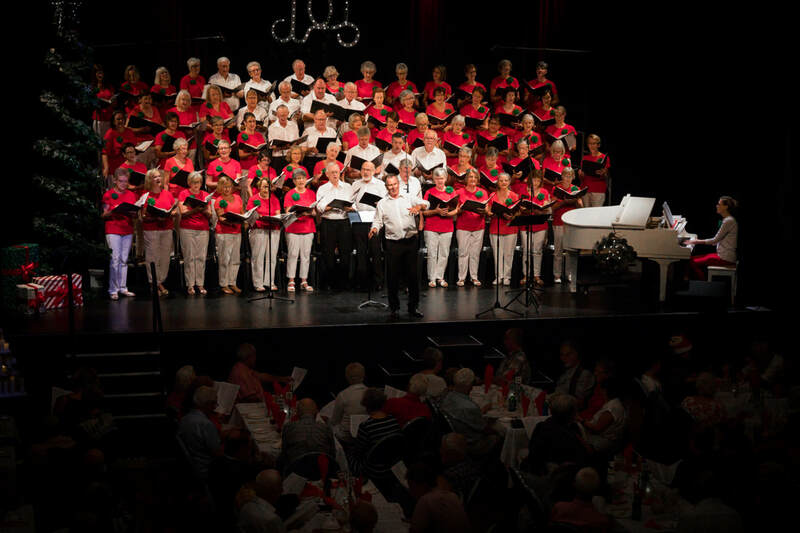 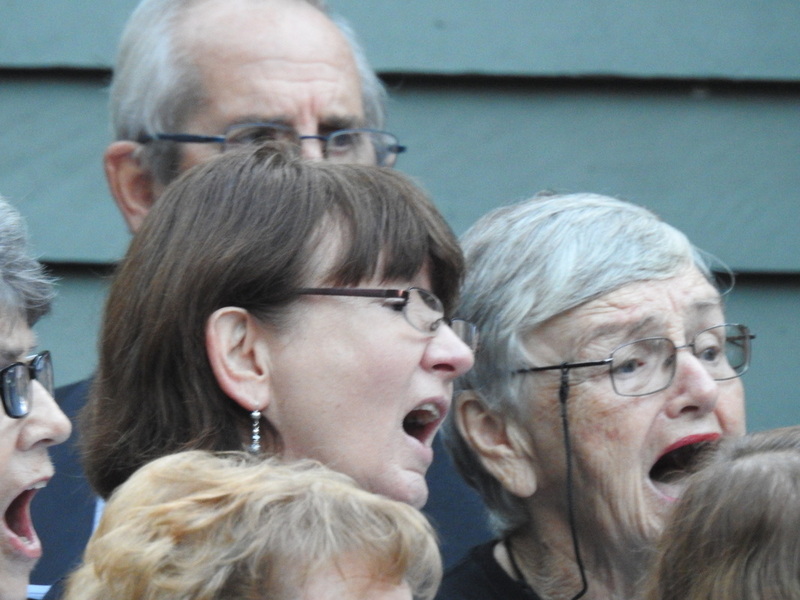 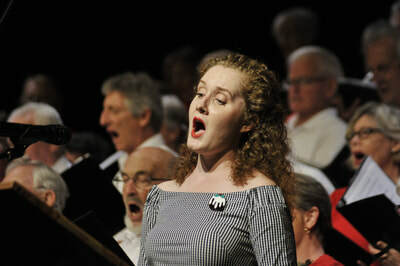 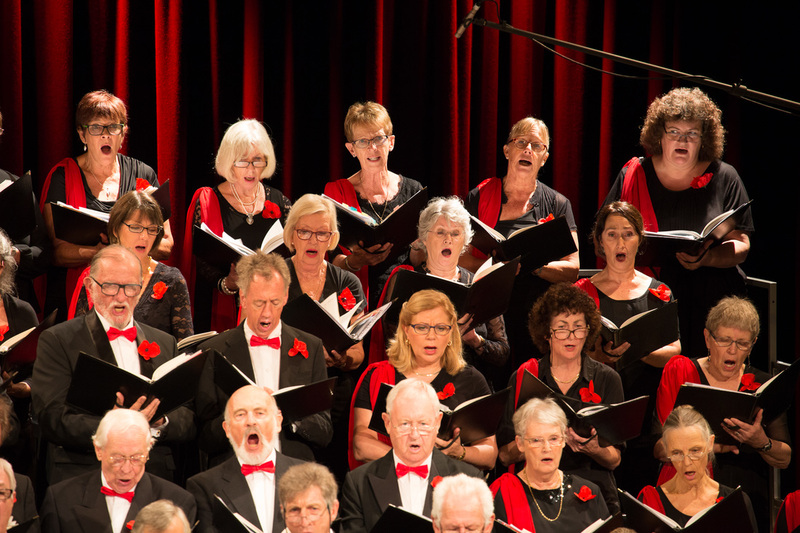 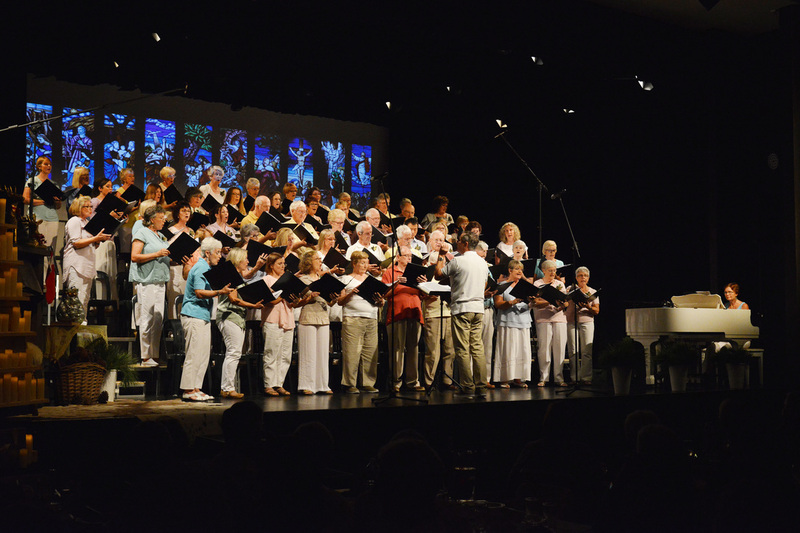 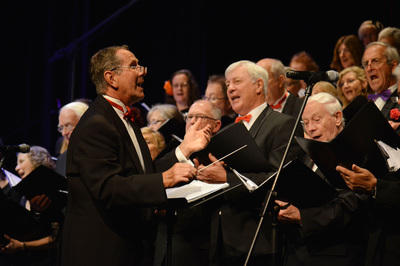 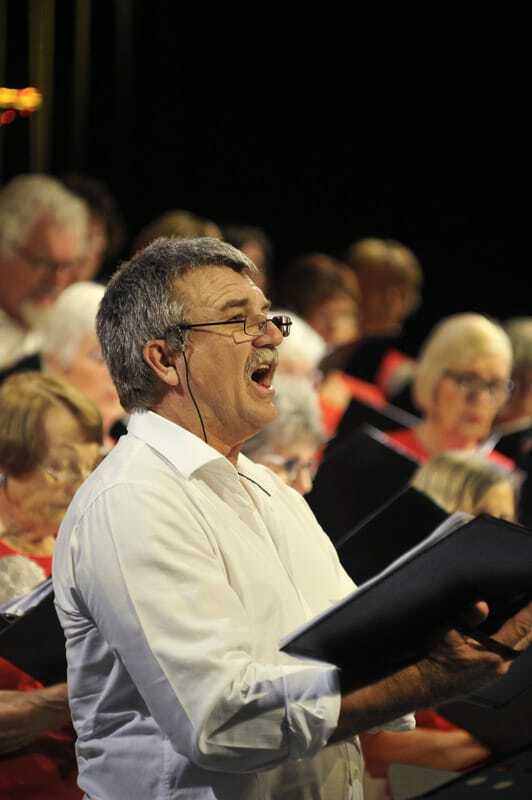 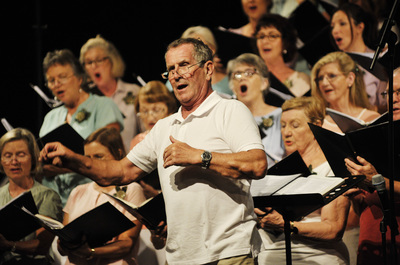 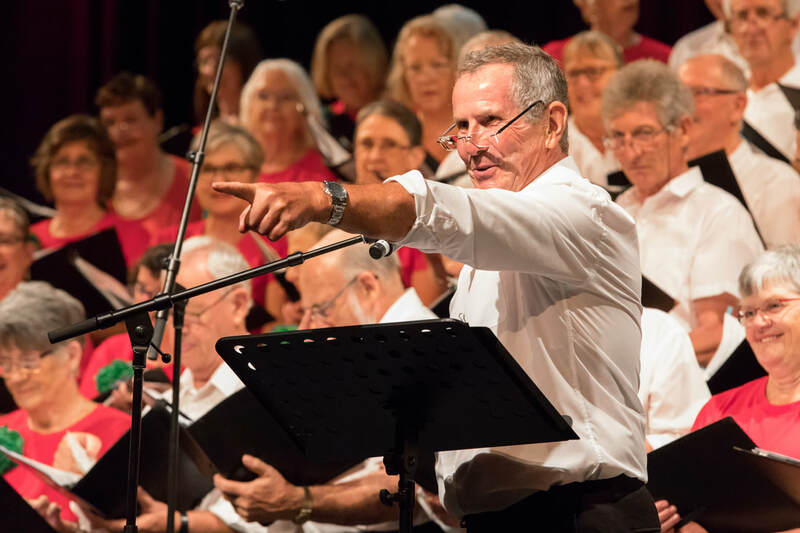 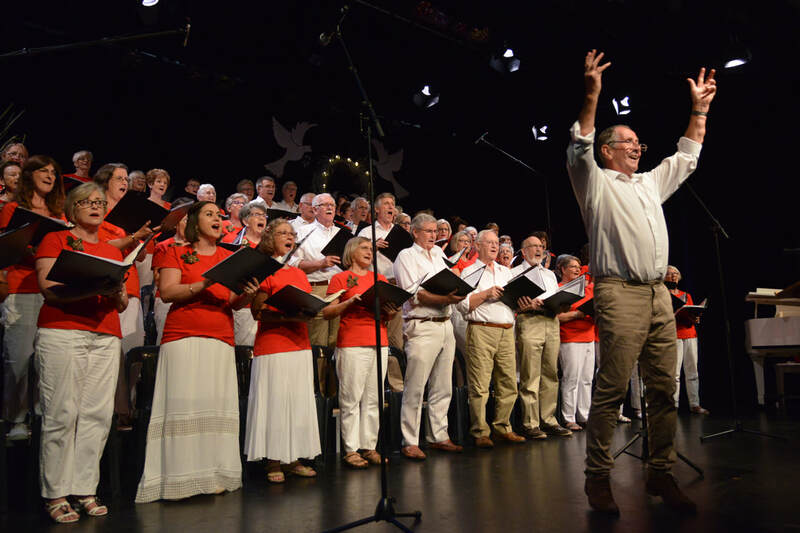 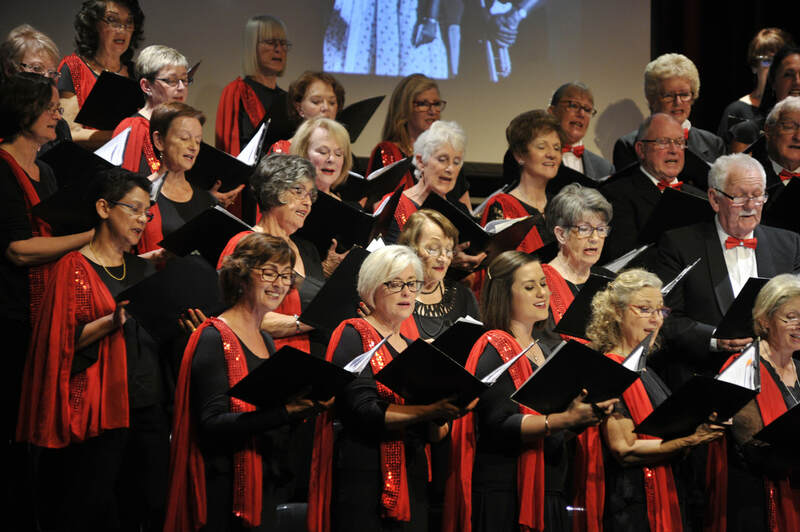 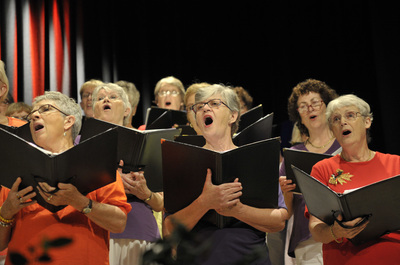 Noosa Chorale presented a medley of war-time songs, The Tunes from the Trenches, at the Looking Forward to Peace event organised by Noosa Council to celebrate the 100-year anniversary of Armistice Day. 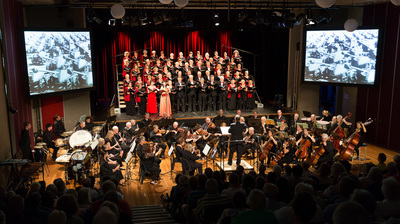 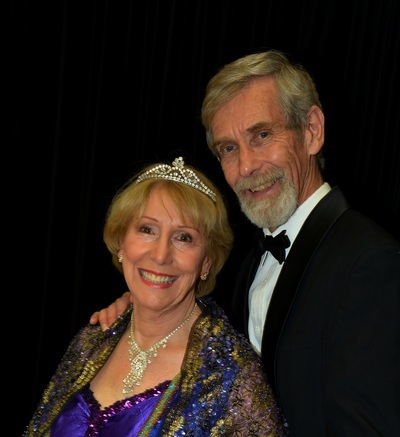 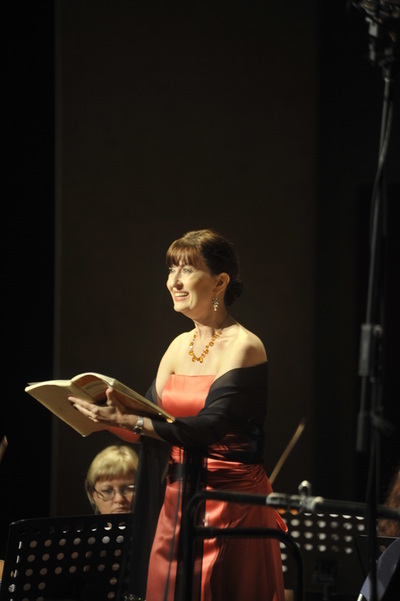 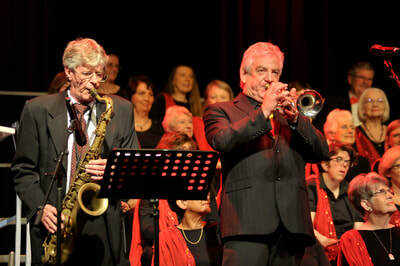 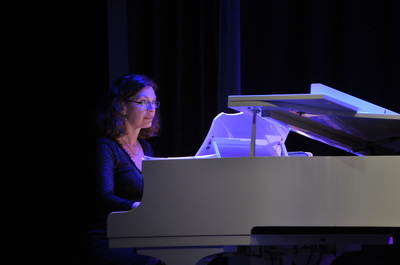 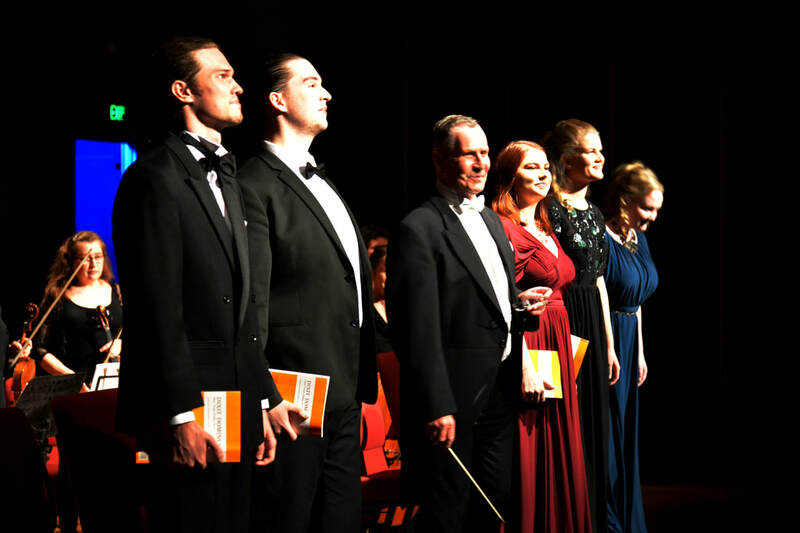 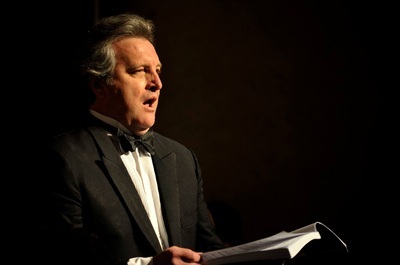 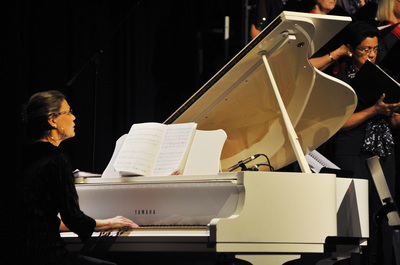 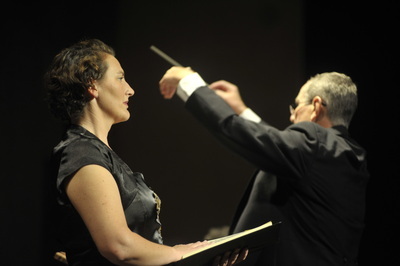 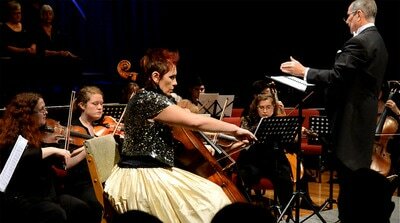 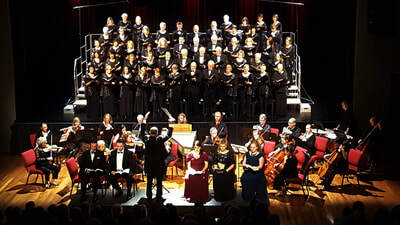 With Adrian King conducting and Janet Brewer accompanying on piano. 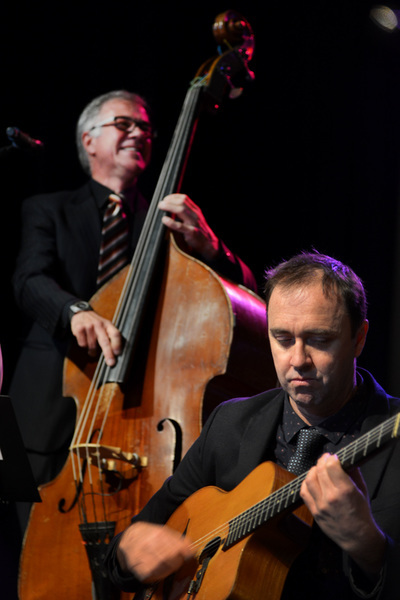 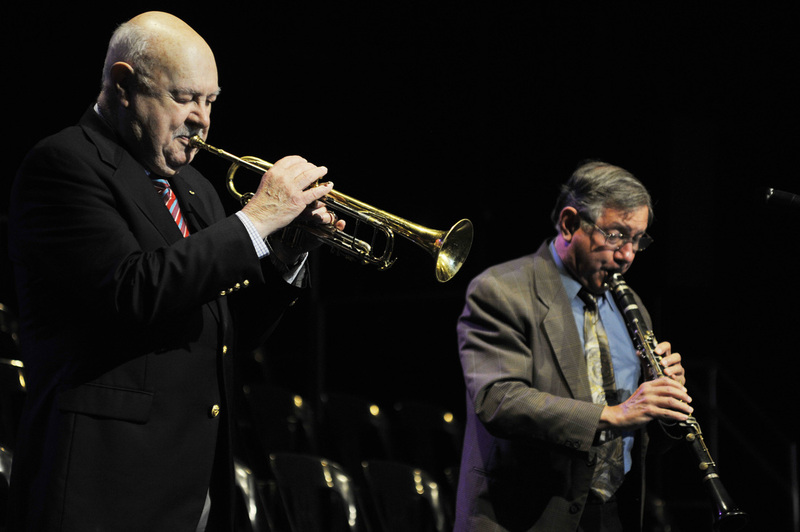 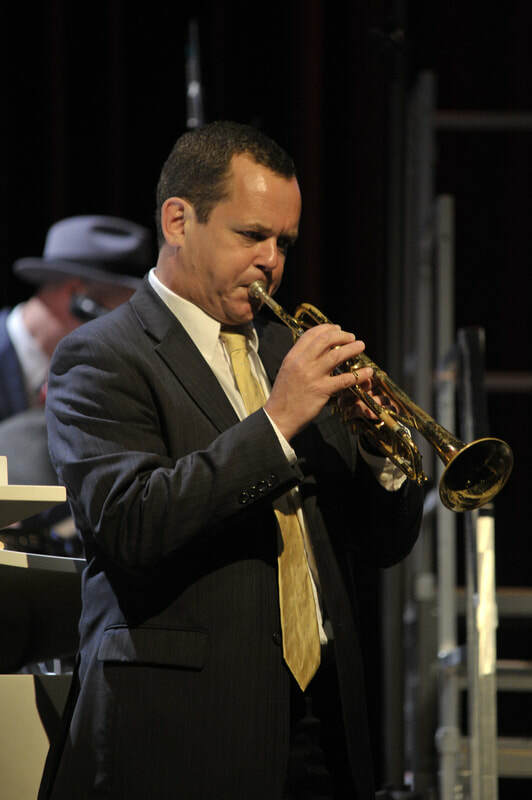 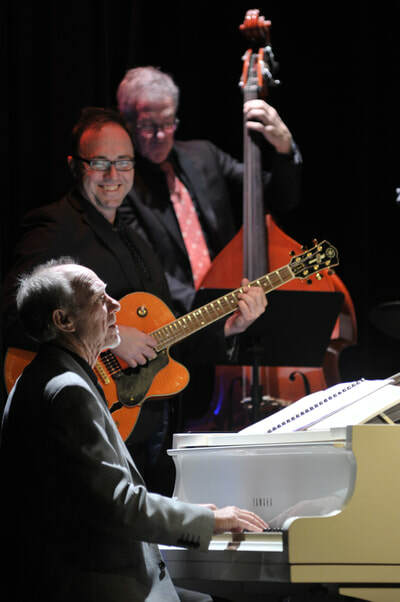 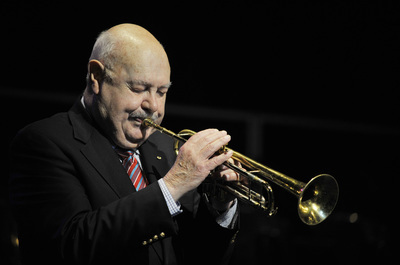 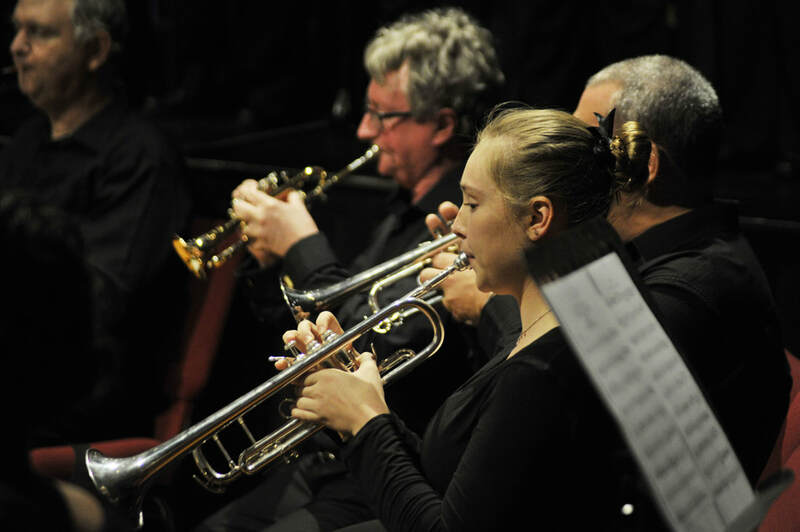 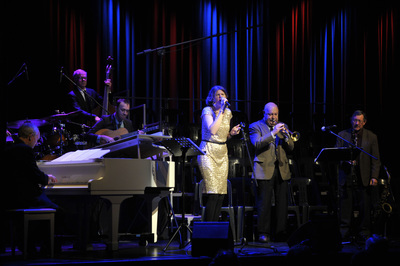 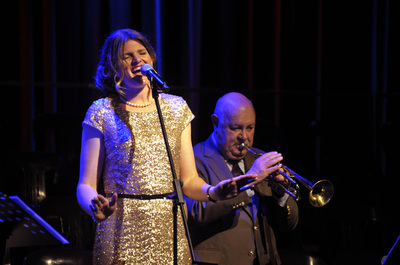 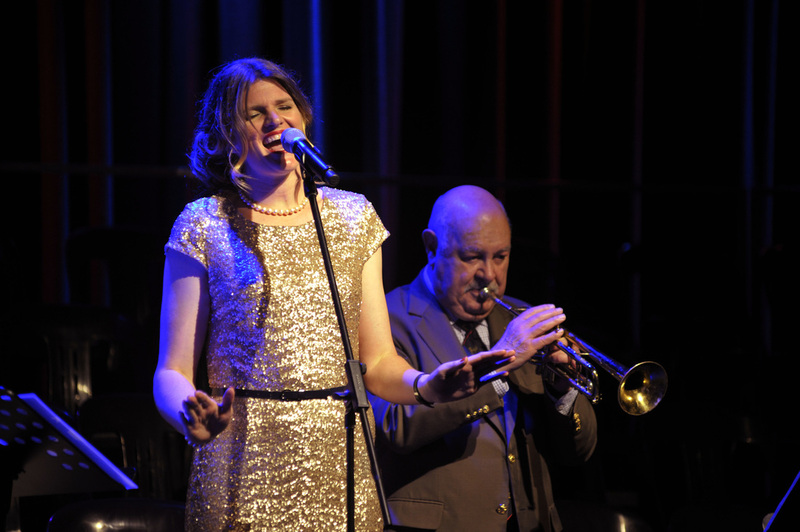 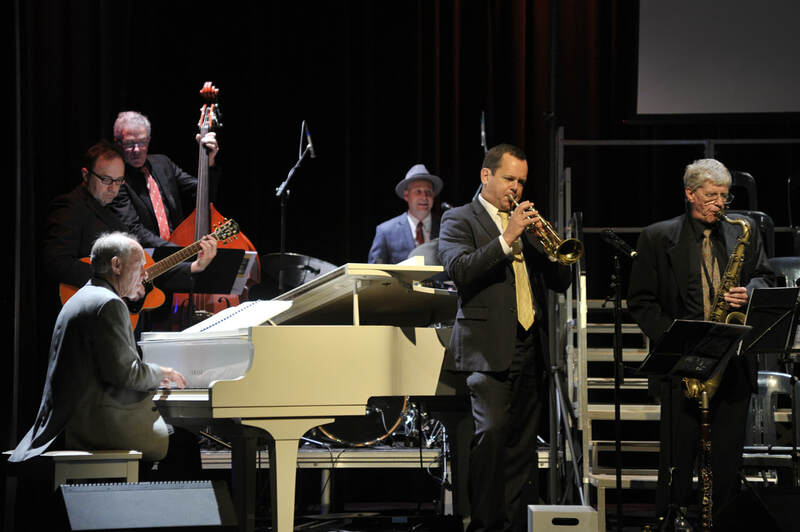 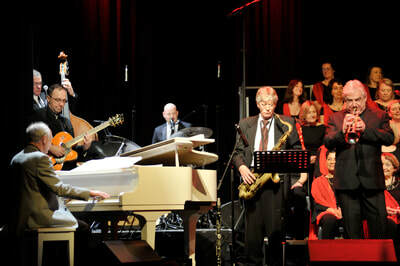 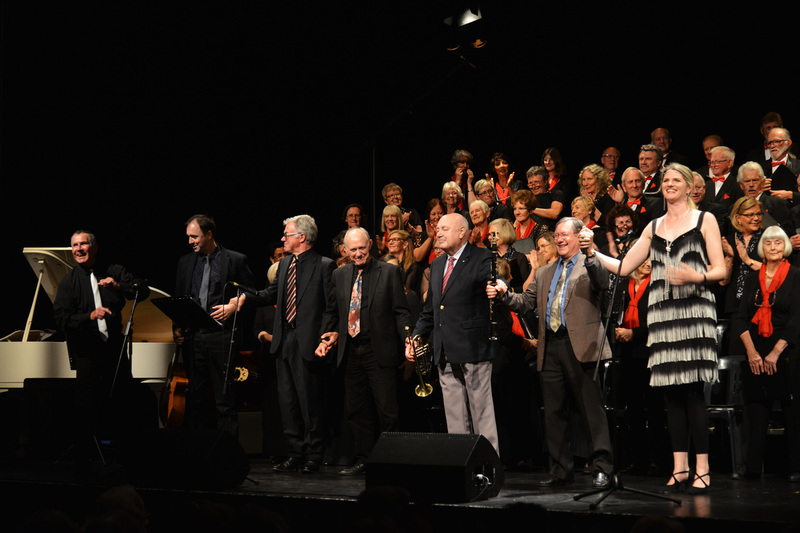 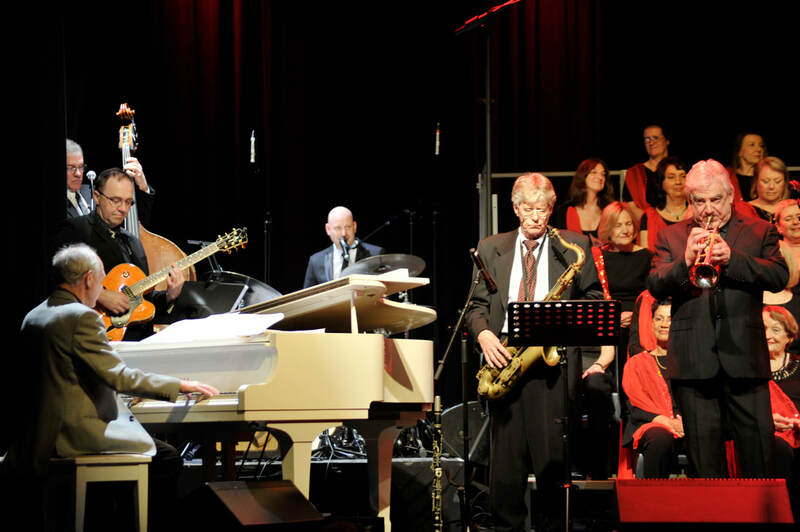 A showcase of songs from the era of the great jazz master, Louis Armstrong, in association with the Noosa Jazz Party. 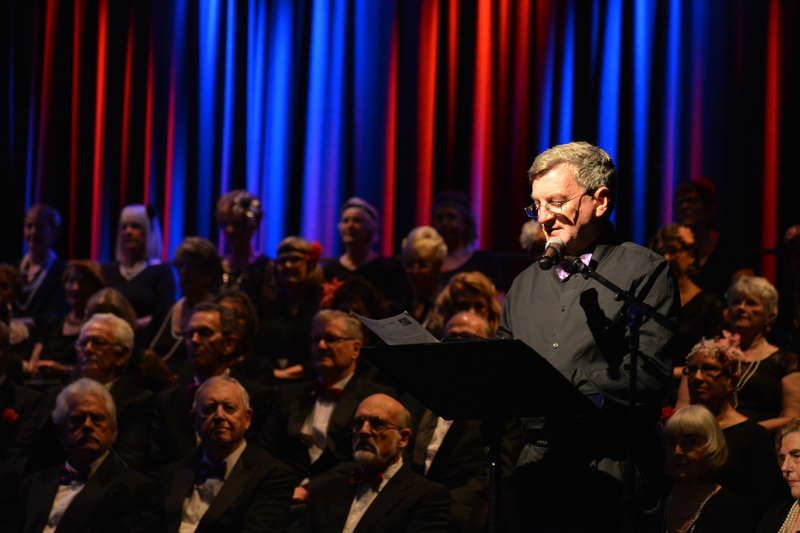 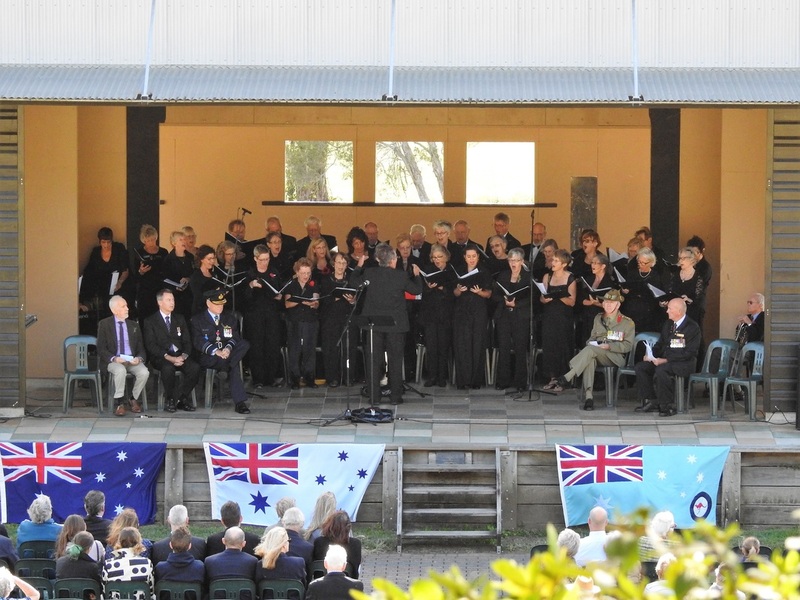 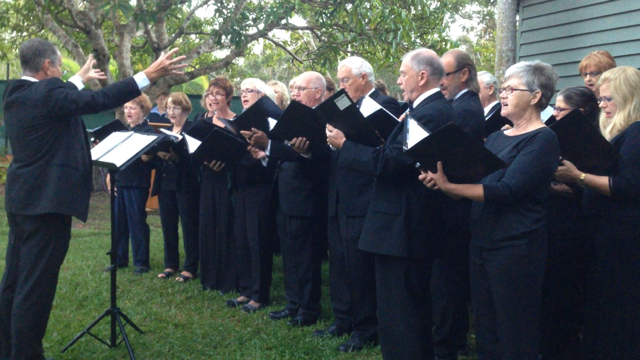 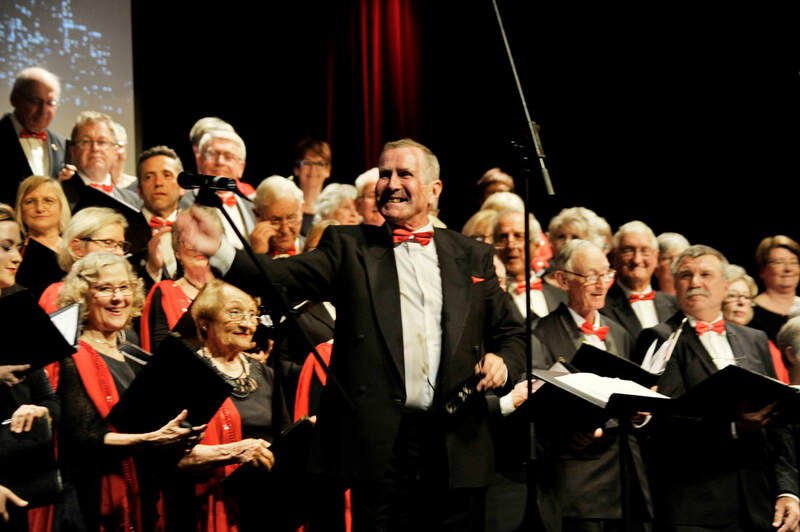 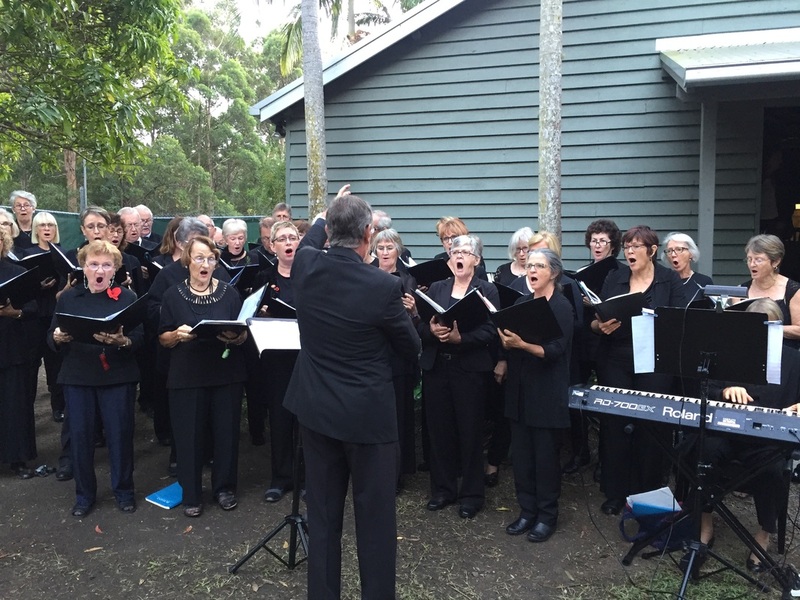 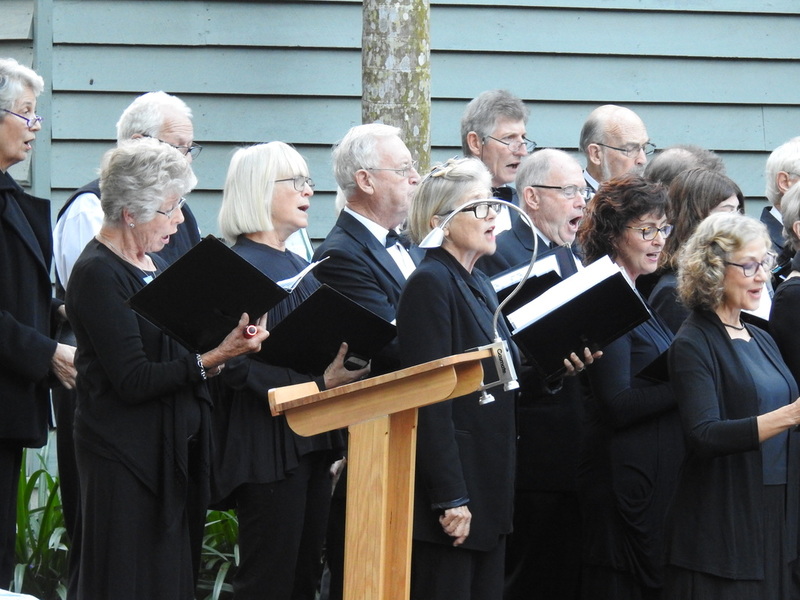 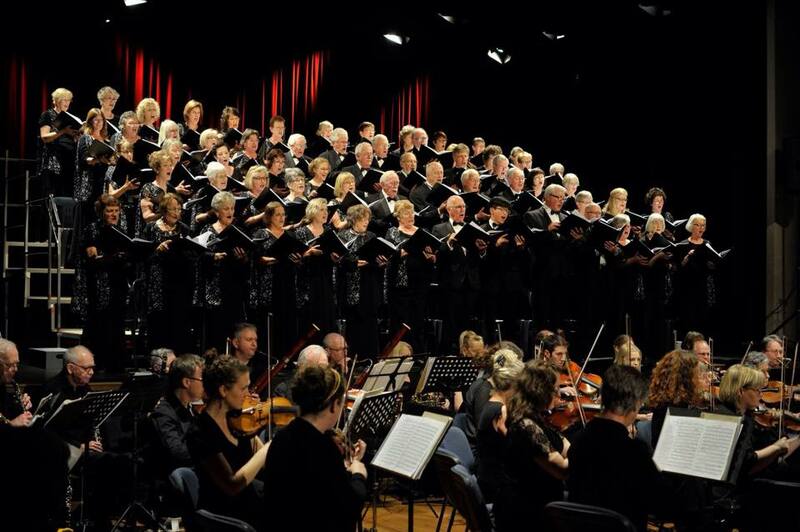 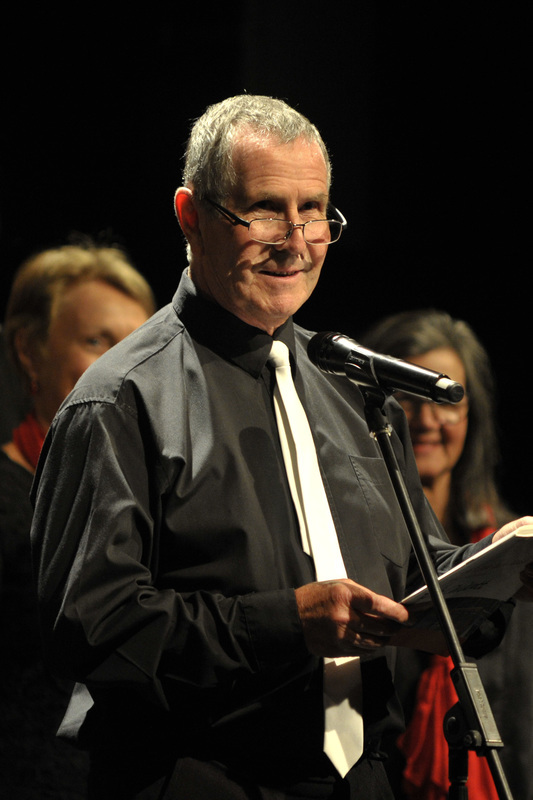 Led by Adrian King and with accompaniment by Huguette Brassine, Noosa Chorale was privileged to be invited to contribute in song to the 2016 Anzac Day dawn ceremony at Verrierdale, followed by the ceremony at Eumundi, and the unveiling of the Spirit Orb of Peace. 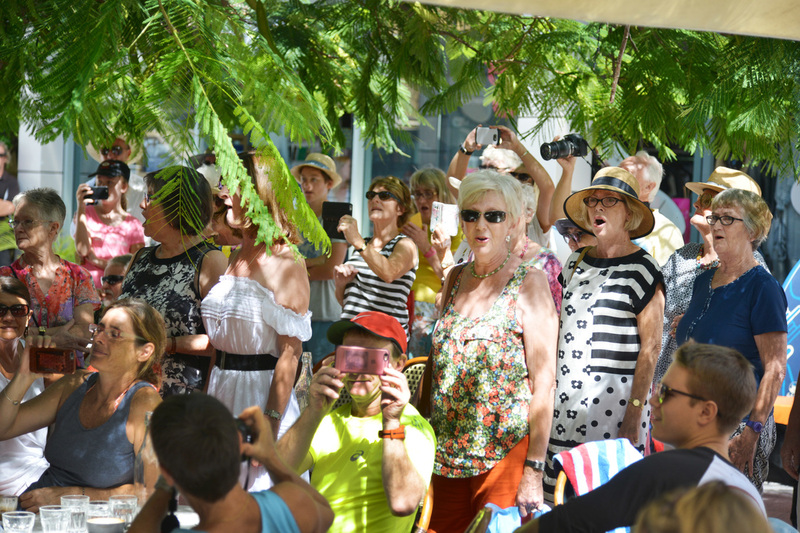 Flash mob at Aromas, Hastings St, Noosa Heads, Queensland on Easter Saturday 2016. 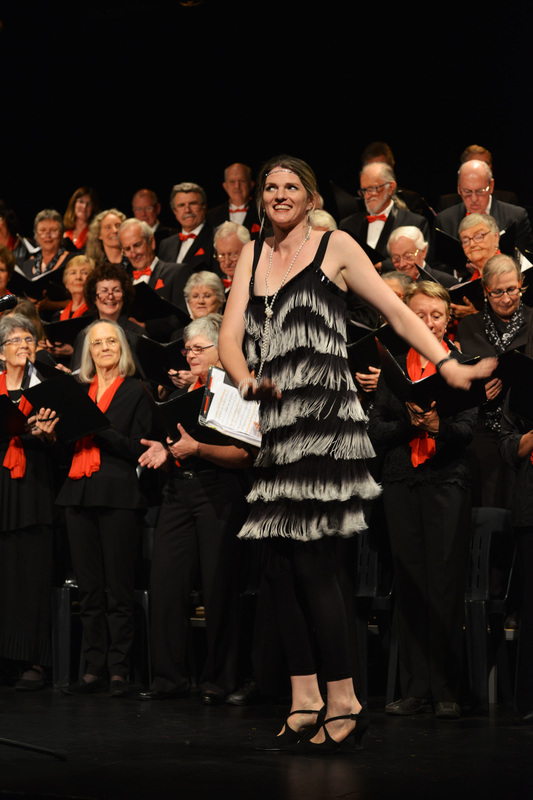 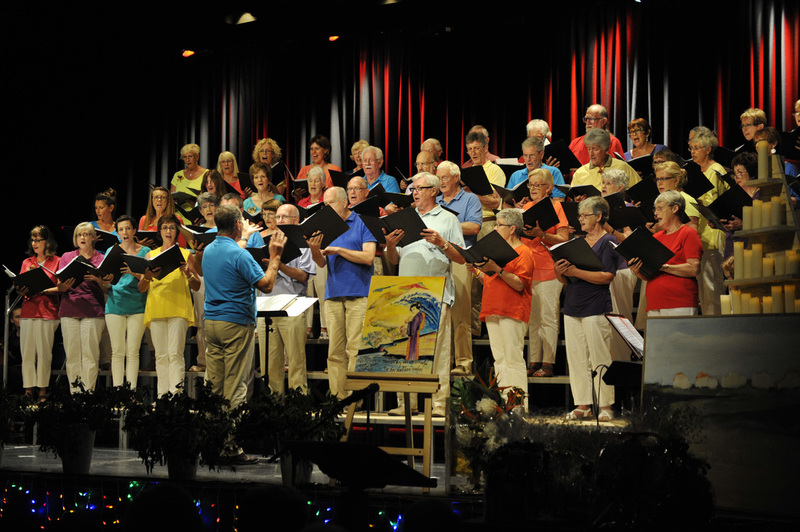 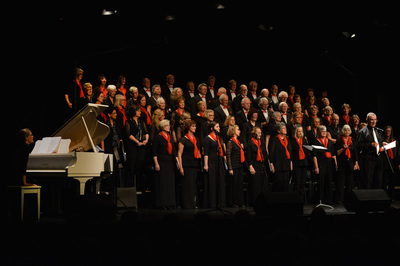 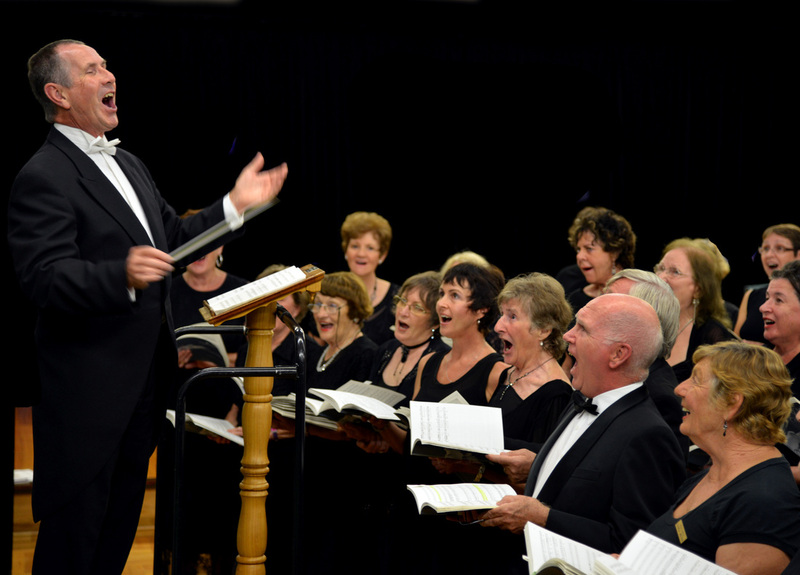 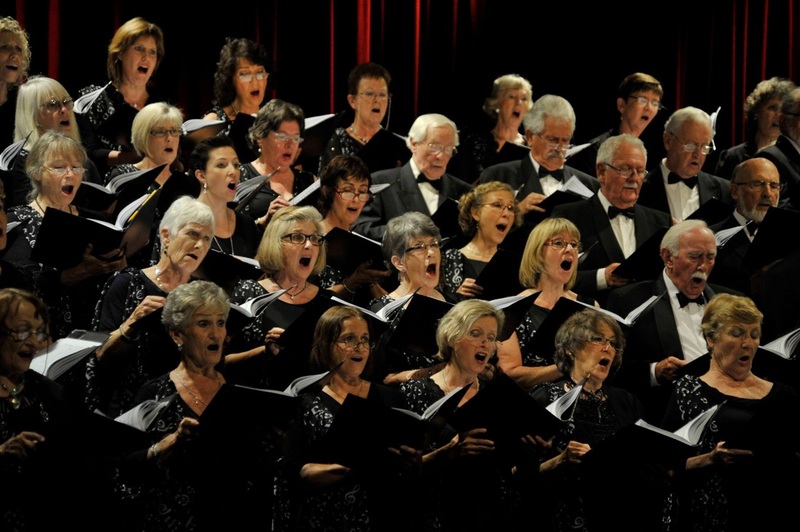 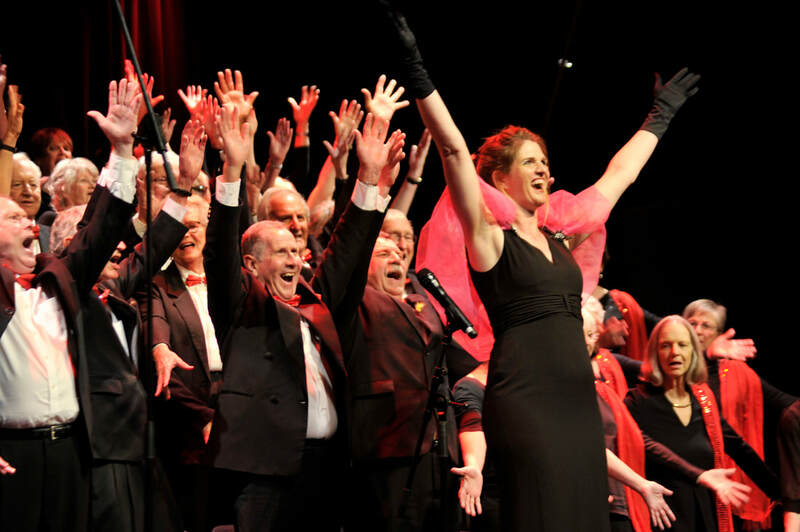 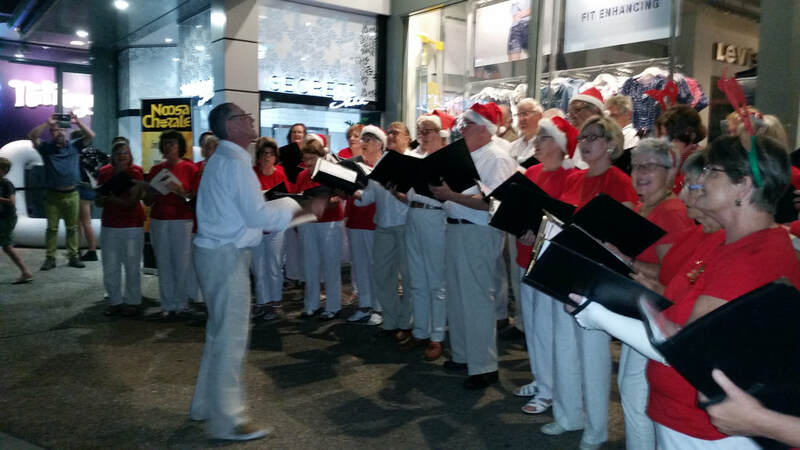 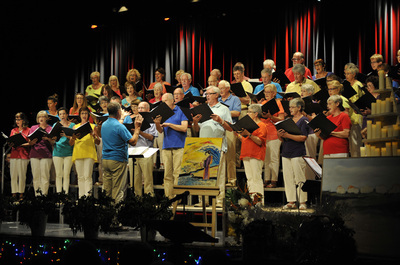 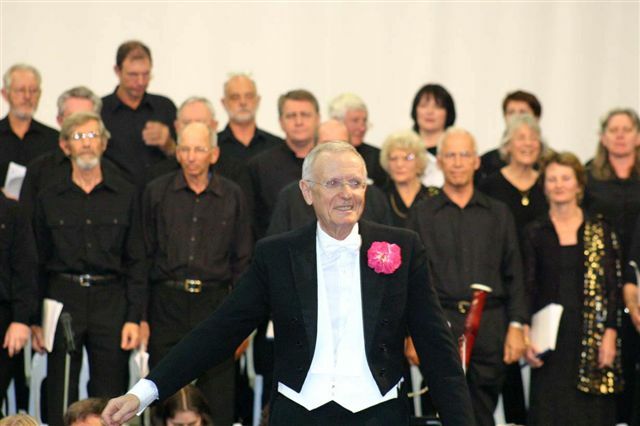 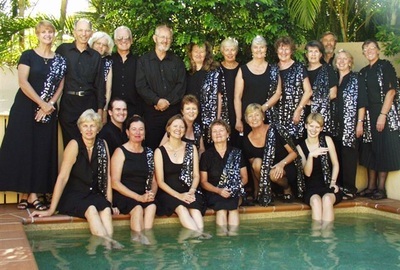 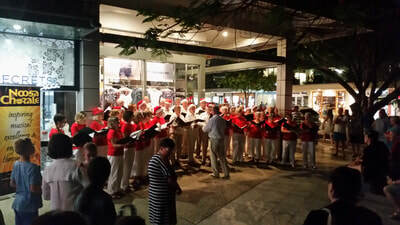 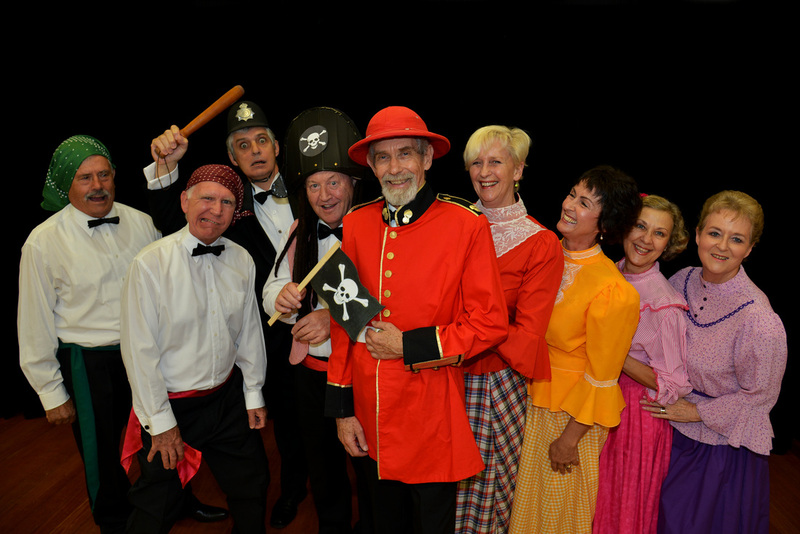 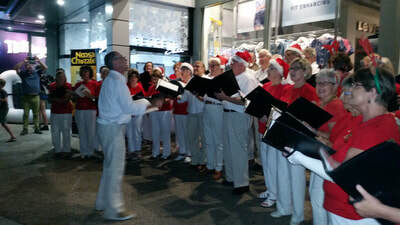 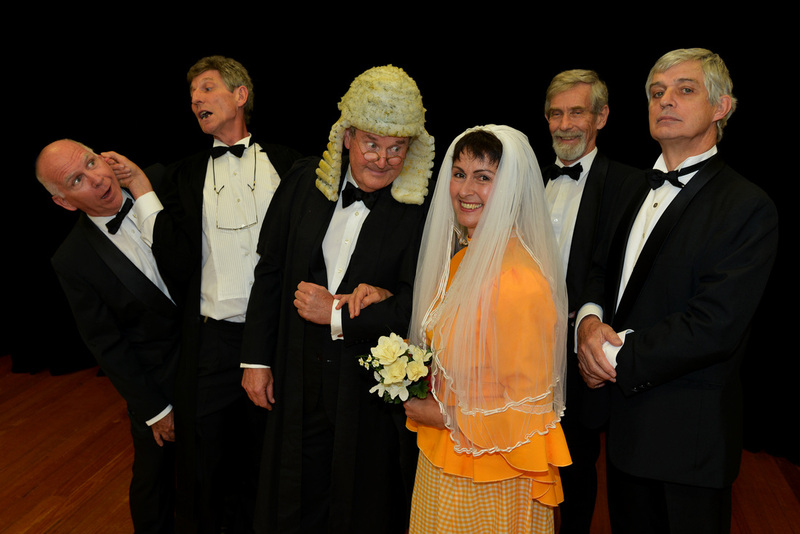 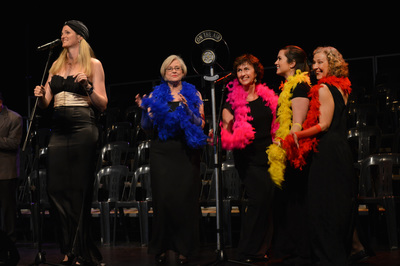 Performed by Noosa Chorale to publicise the Noosa Long Weekend Festival being held over 10 days from 15 to 24 July 2016. 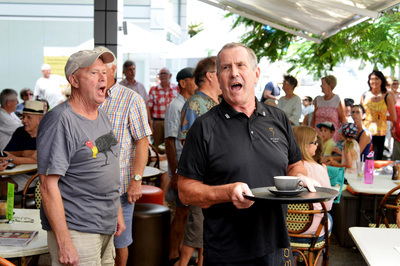 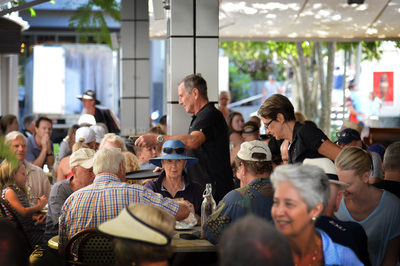 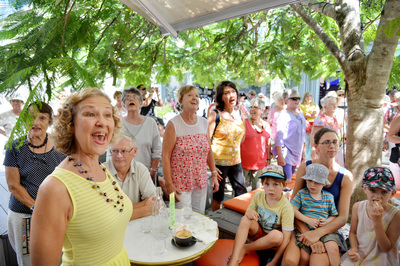 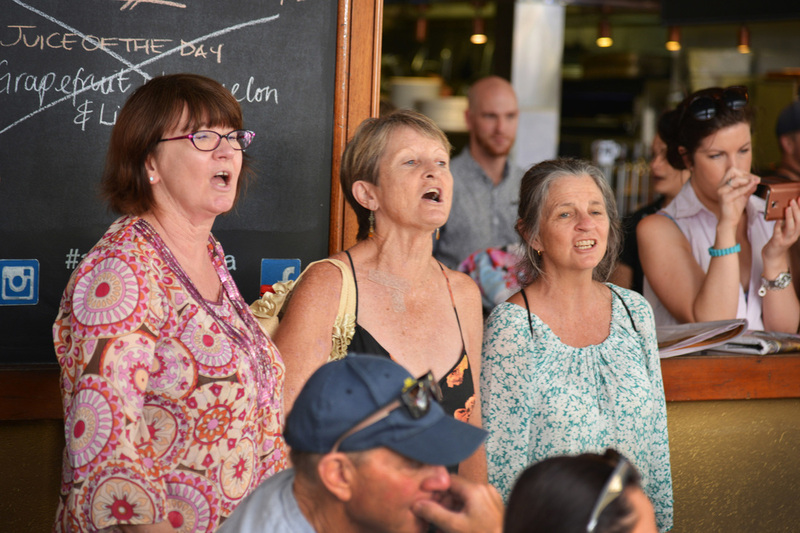 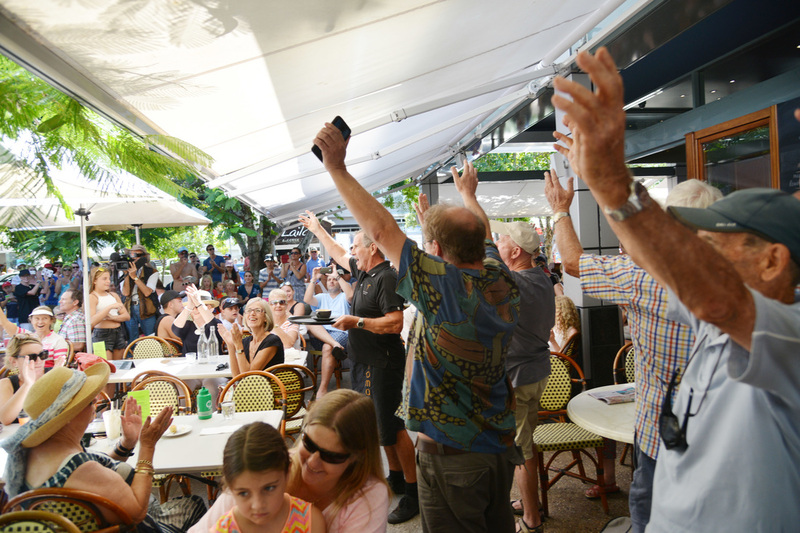 Easter holiday crowds in Noosa's cafe precinct came to a standstill when waiters and customers at Aroma's suddenly burst into song. 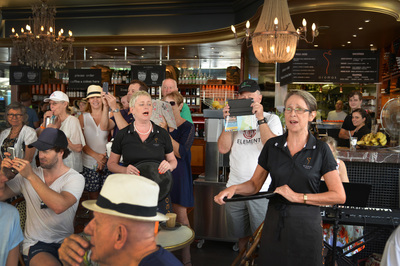 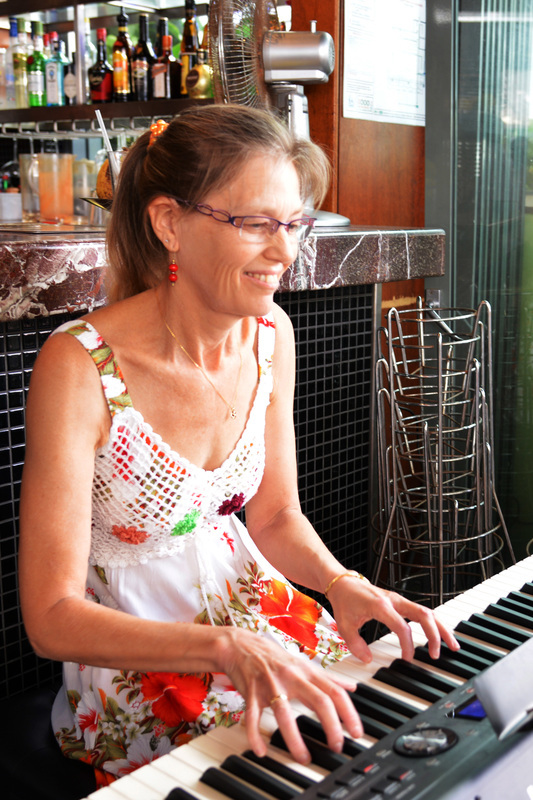 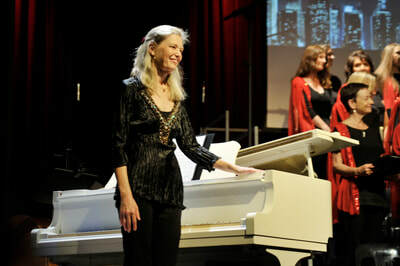 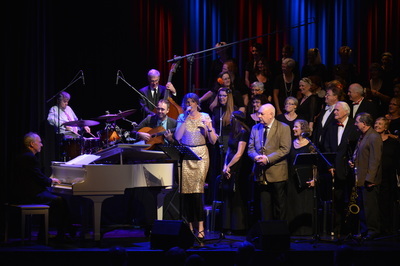 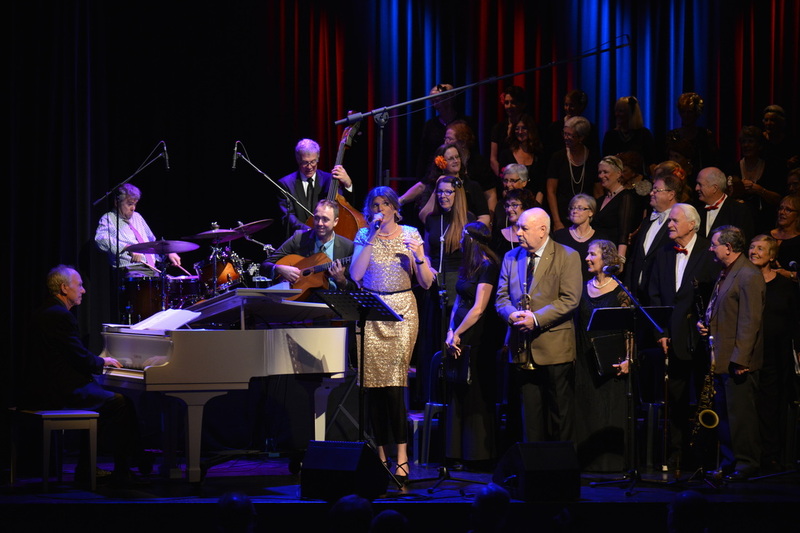 Soprano Fran Wilson, disguised as a waitress, burst into the first few bars of the Hallelujah Chorus from Handel's Messiah, to the accompaniment of pianist Janet Brewer who, until then, had been charming the coffee crowd with her jazz and boogie-woogie selections. 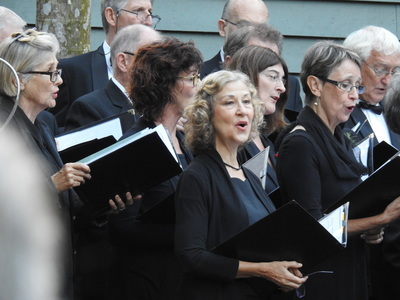 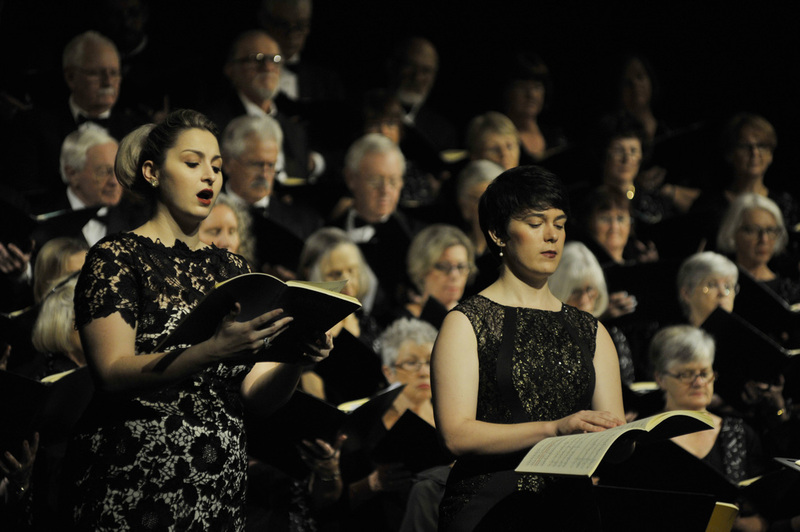 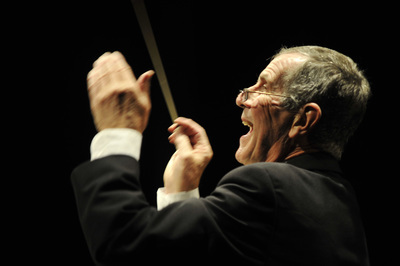 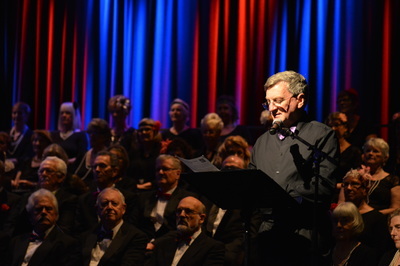 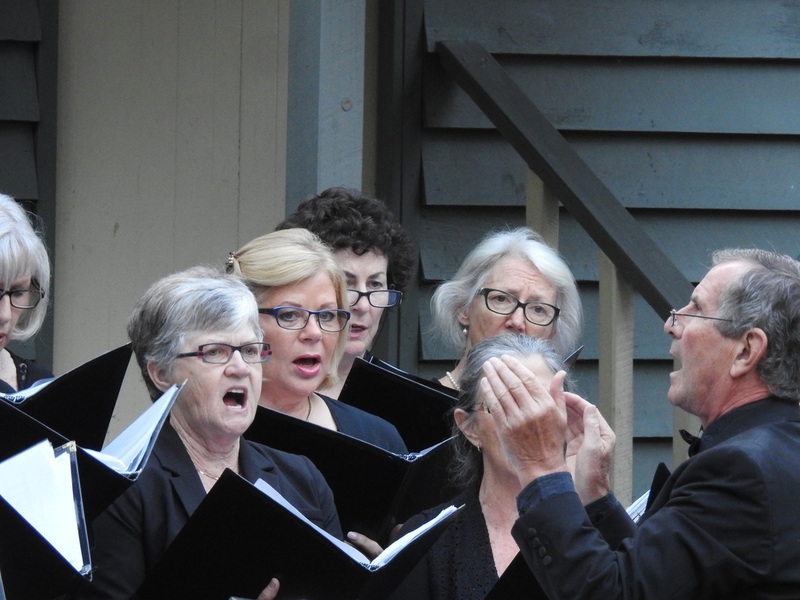 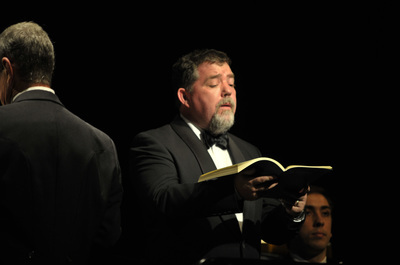 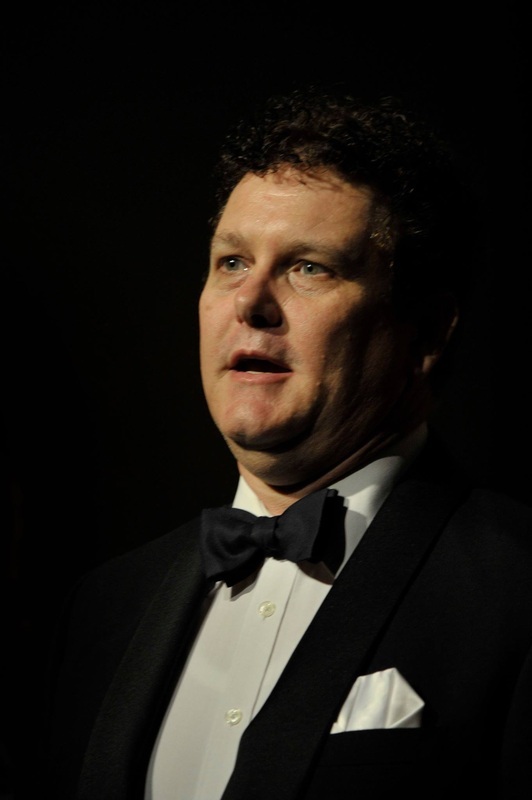 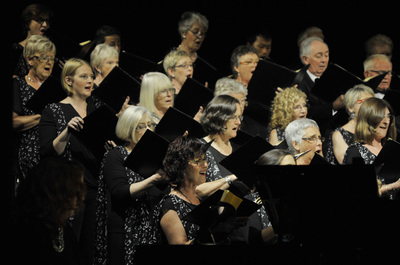 Adrian King, Music Director of the Chorale, joined in with the tenor line, quickly followed by more singers who stood up from their tables or streamed in from Hastings Street, until eventually 40 voices in 4-part harmony brought the Hallelujah to its powerful conclusion. 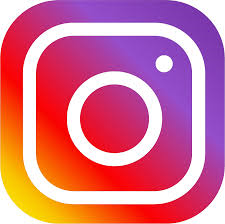 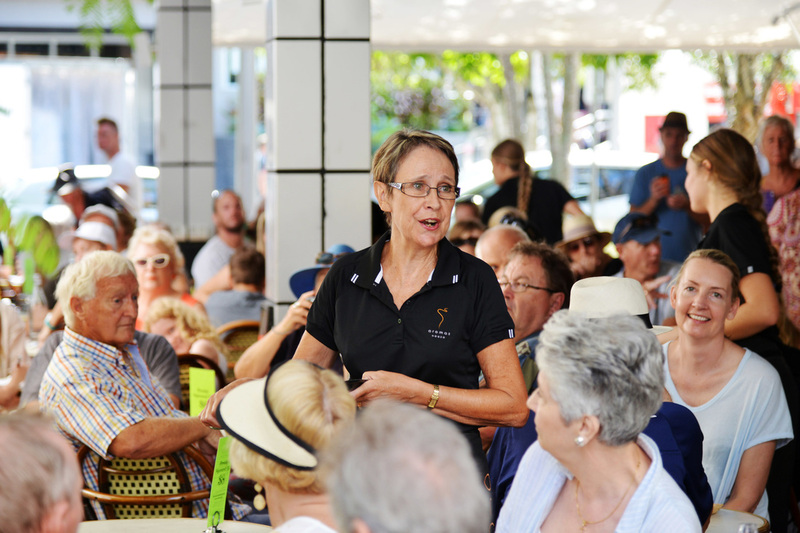 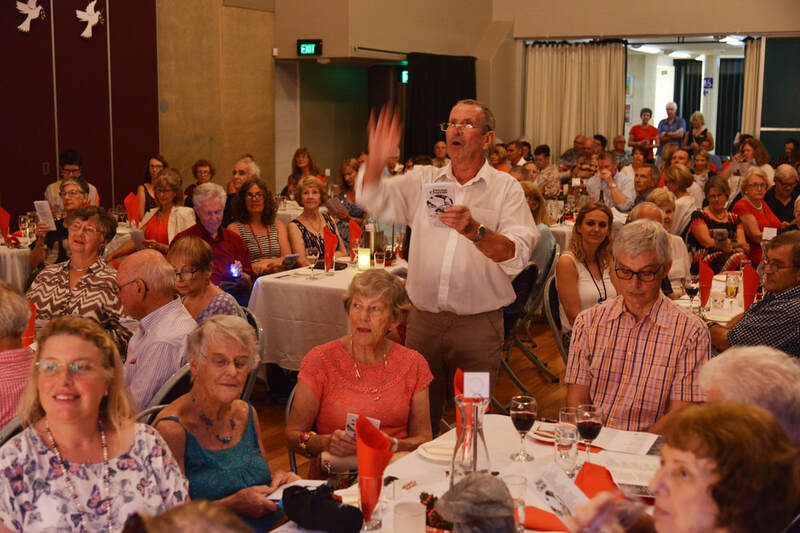 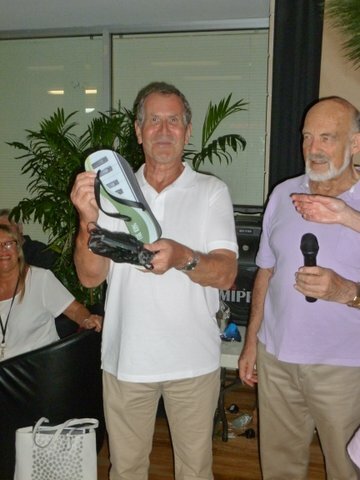 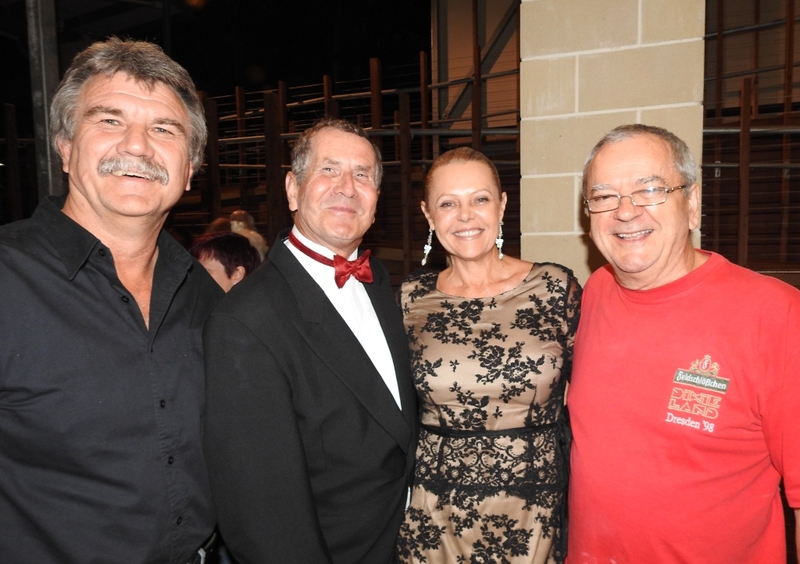 The event was organised to promote the July Noosa Long Weekend Festival, 2016 being its 15th year since inception.